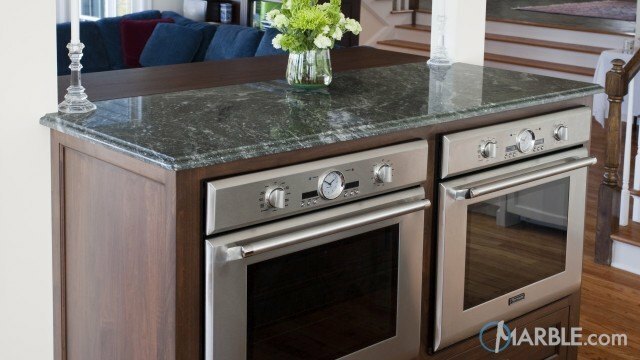 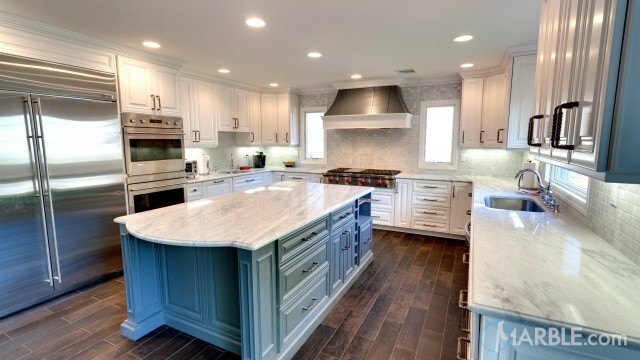 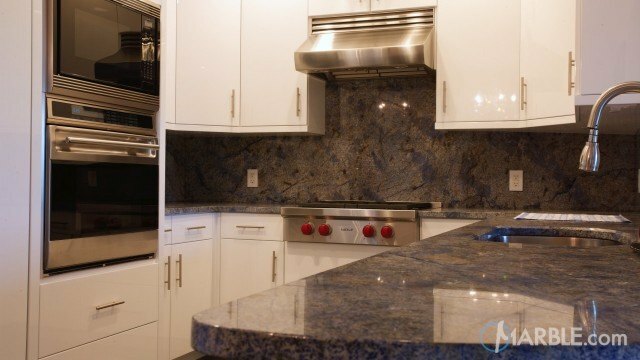 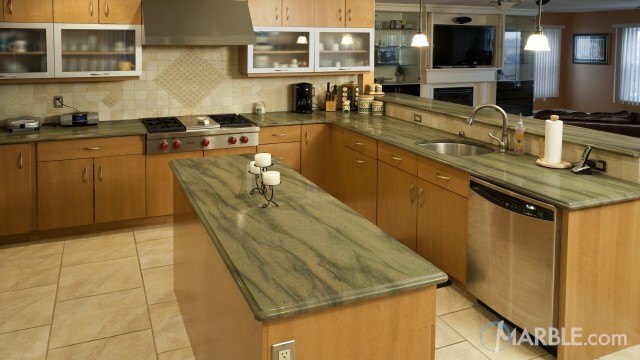 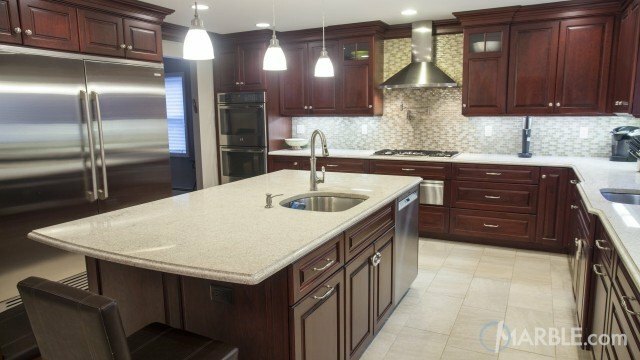 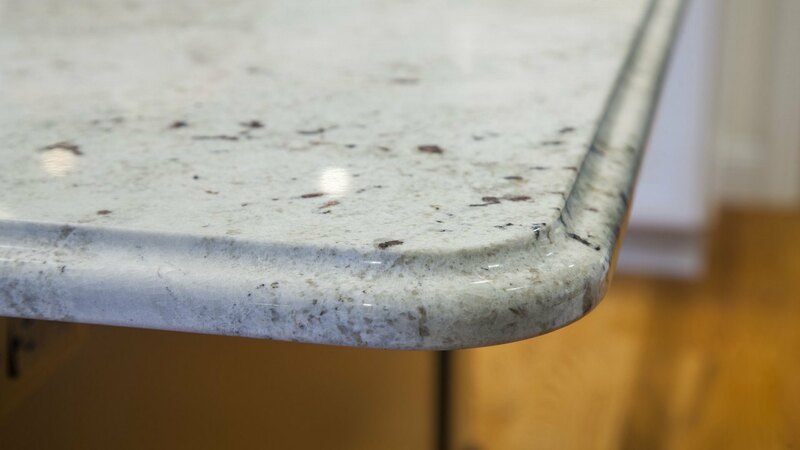 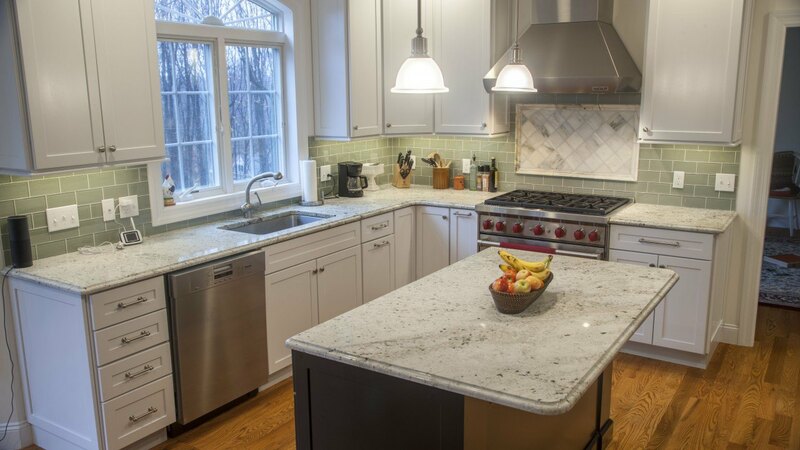 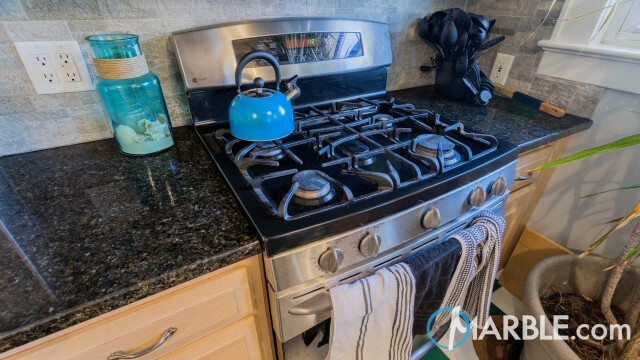 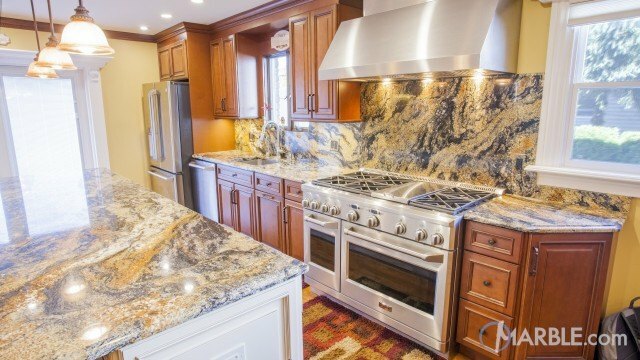 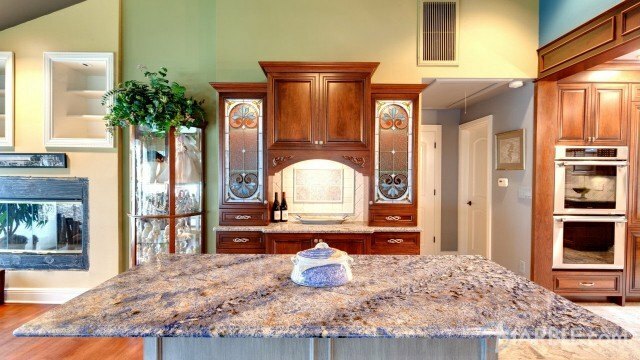 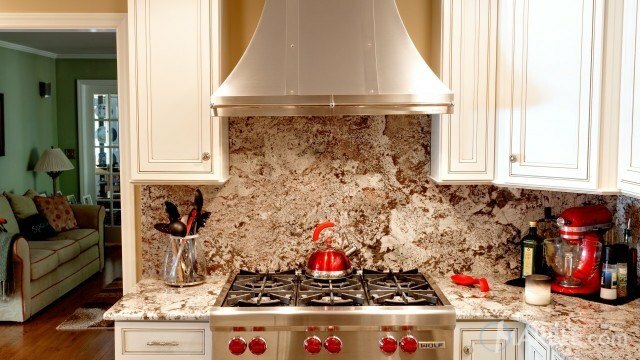 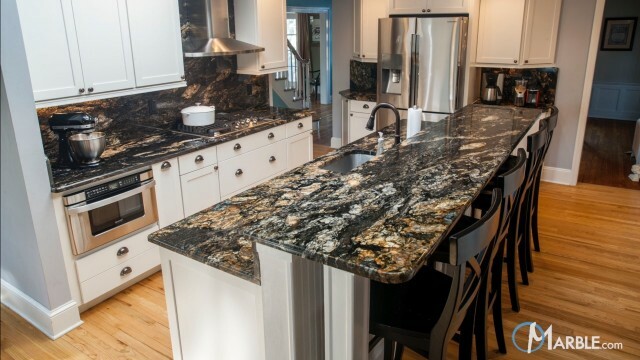 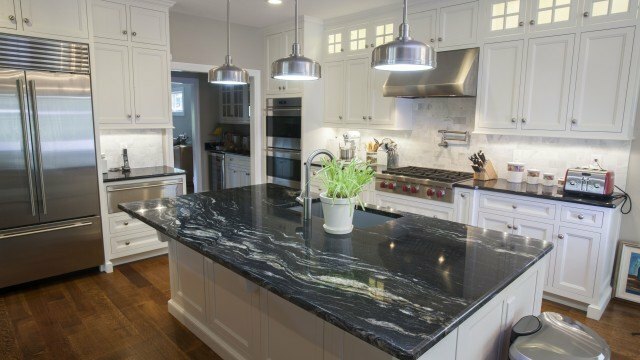 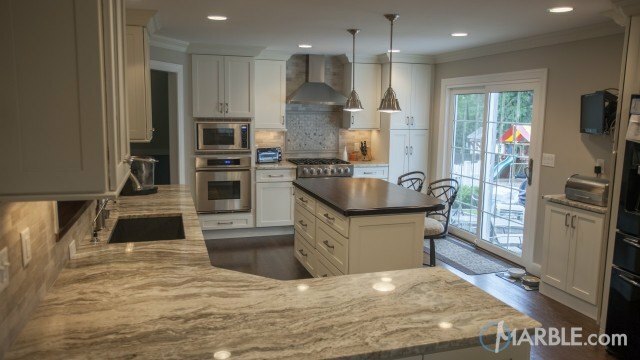 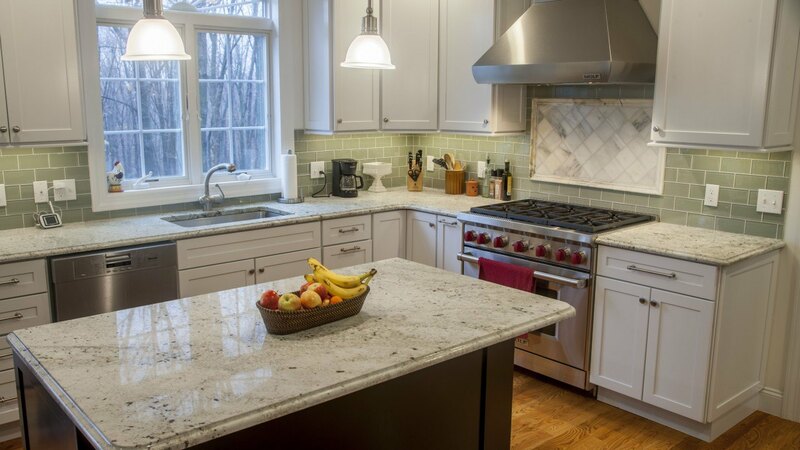 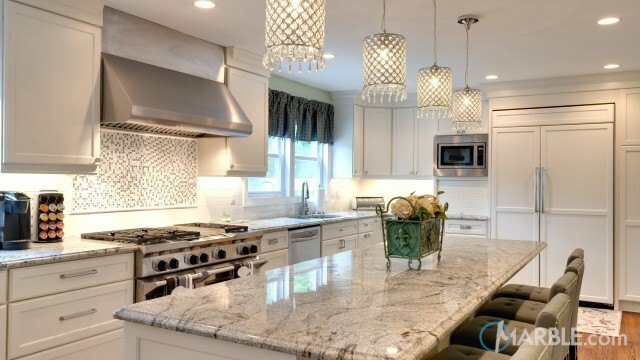 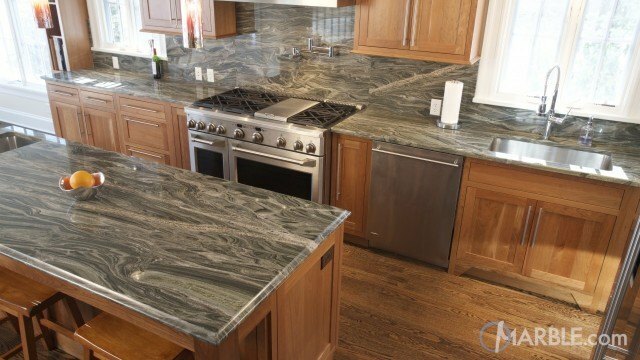 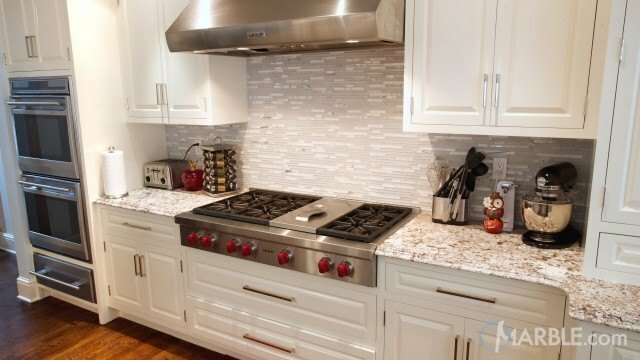 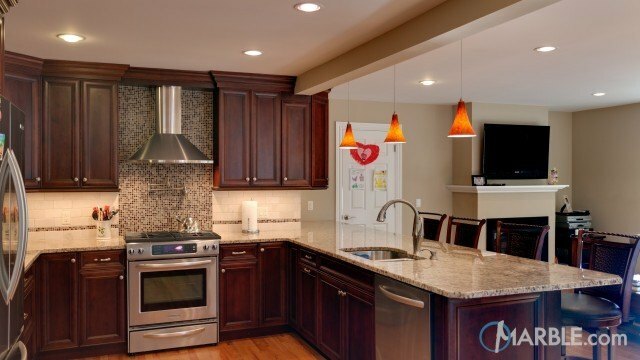 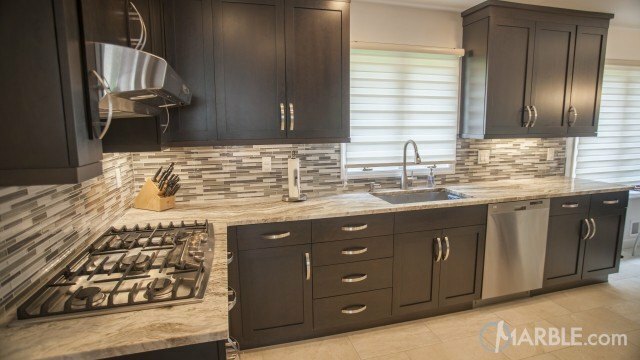 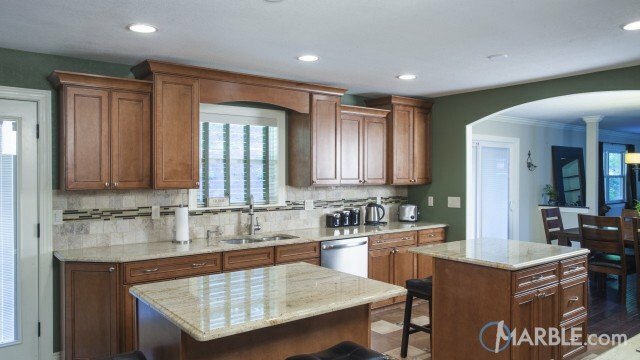 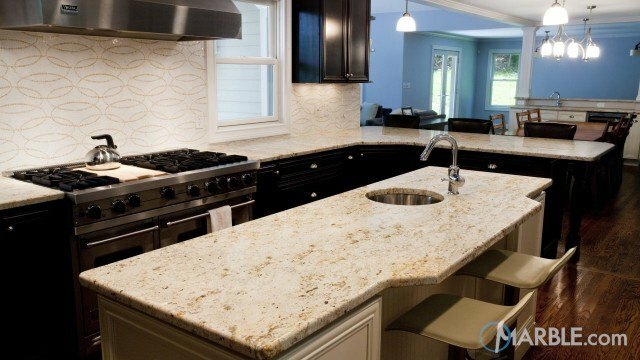 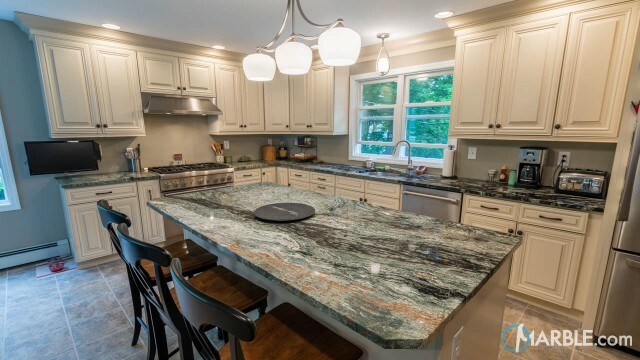 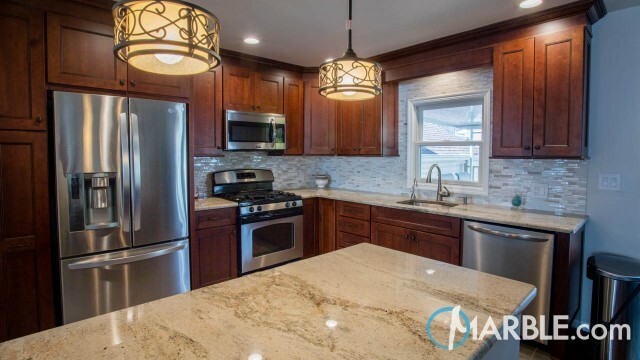 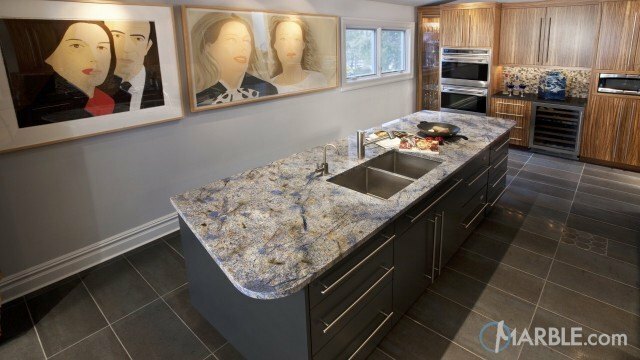 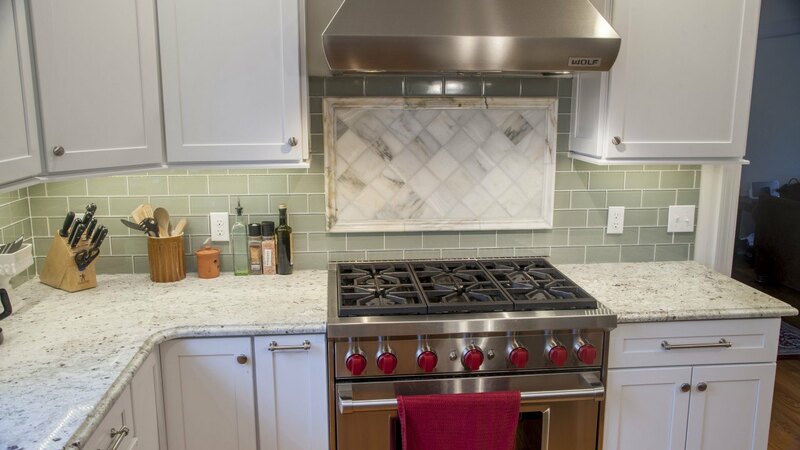 This sleek kitchen featuring a green back splash and Balthus granite really pops with beauty. 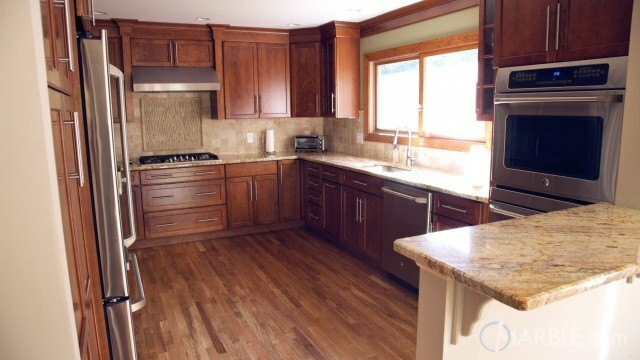 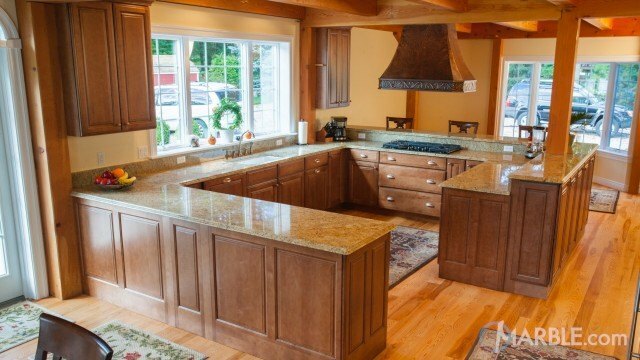 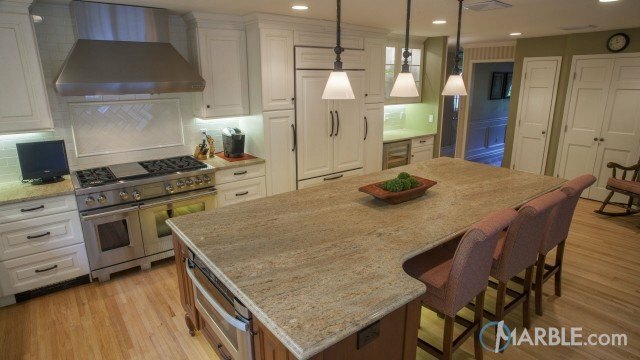 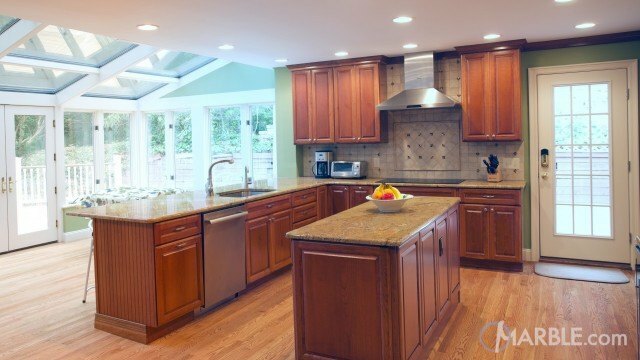 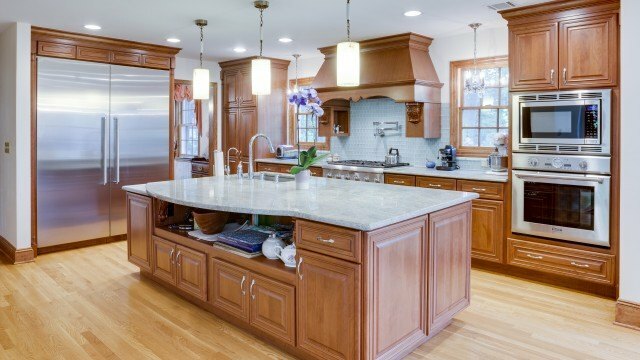 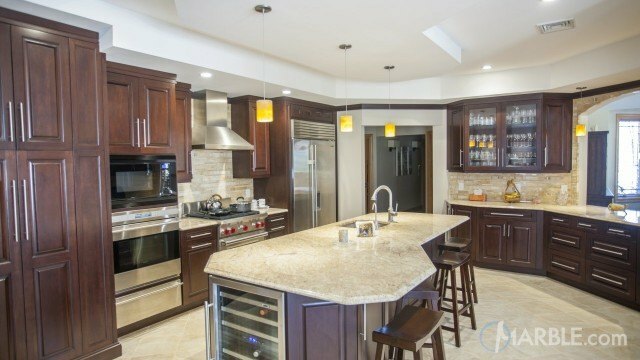 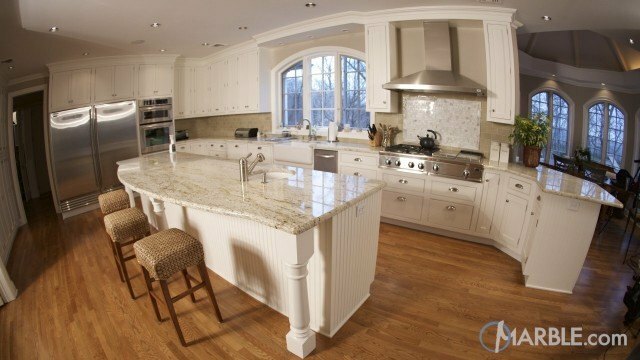 Utilizing an open floor plan with an L-shape and island this kitchen maximizes its space and function. 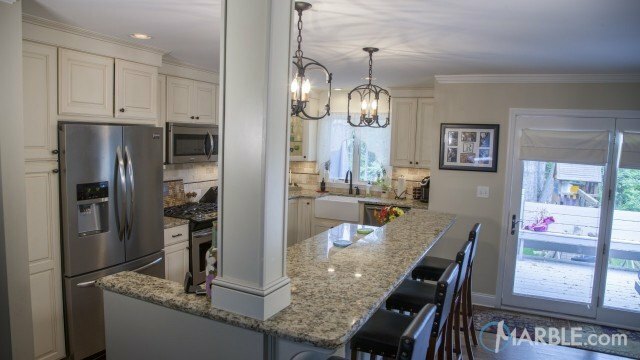 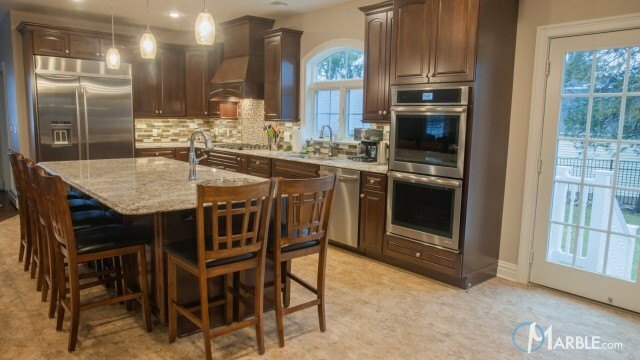 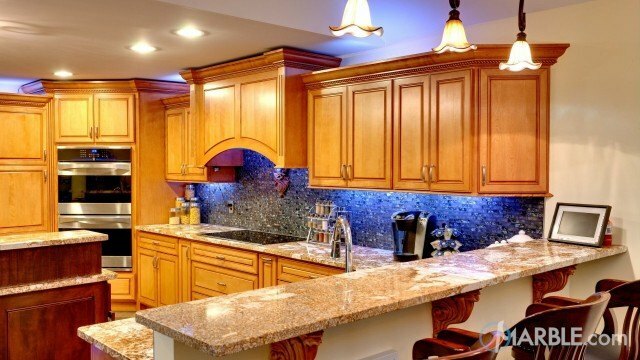 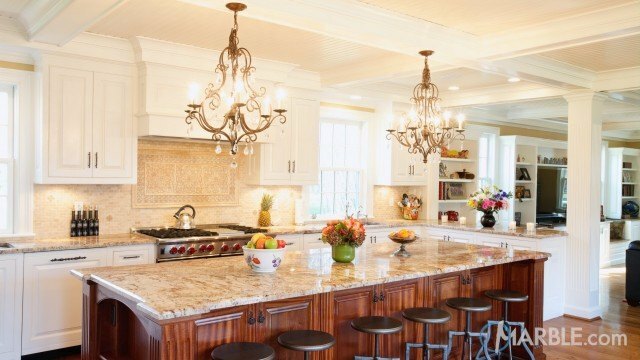 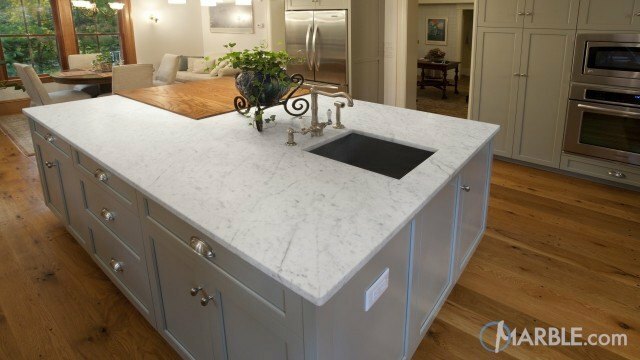 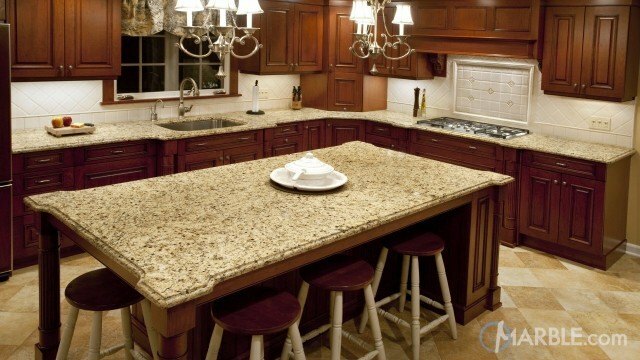 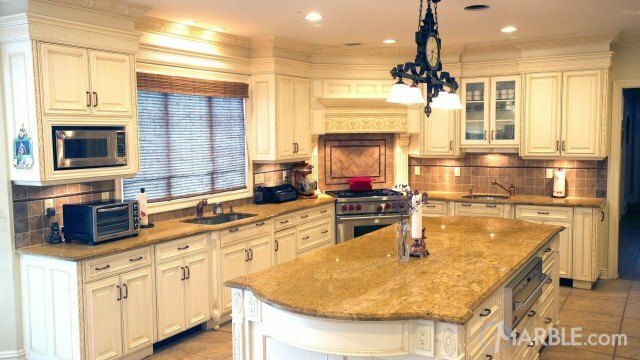 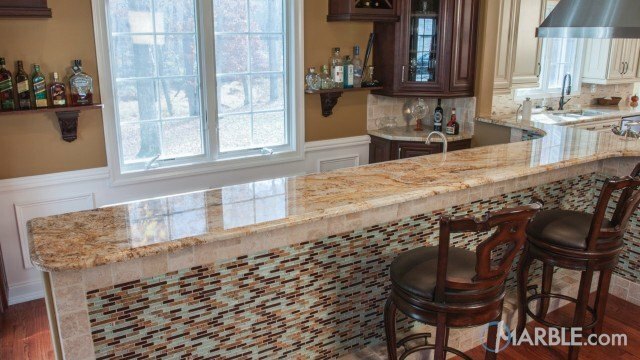 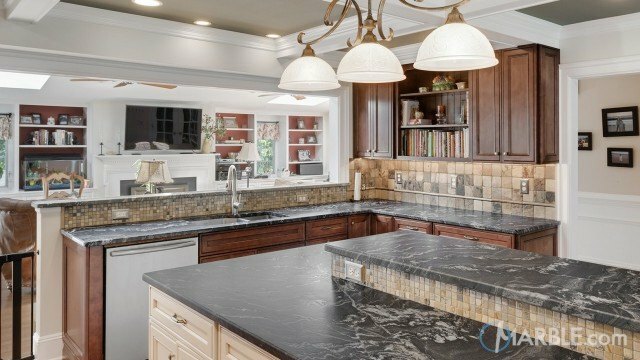 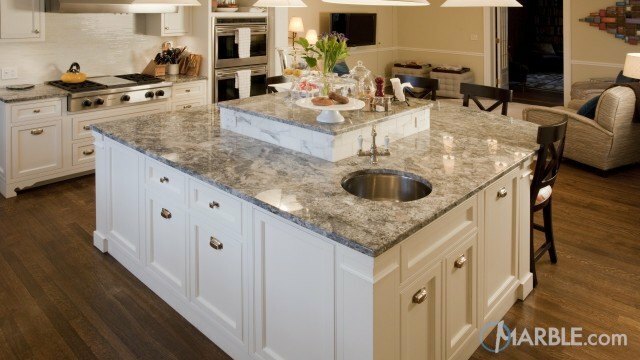 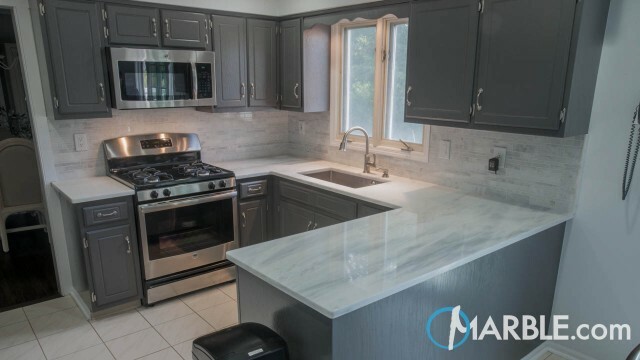 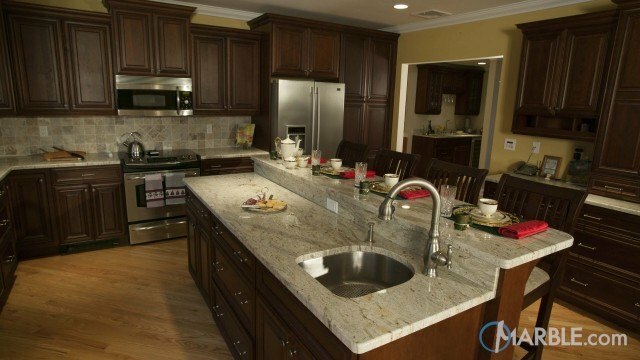 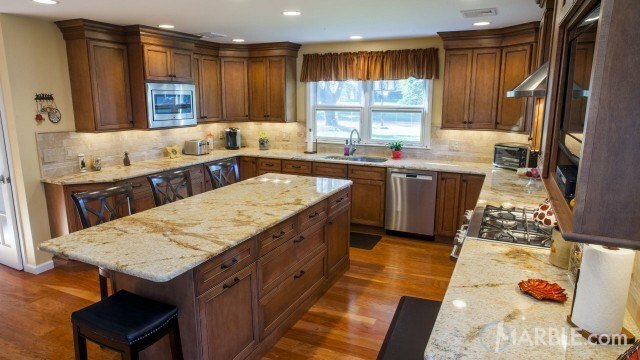 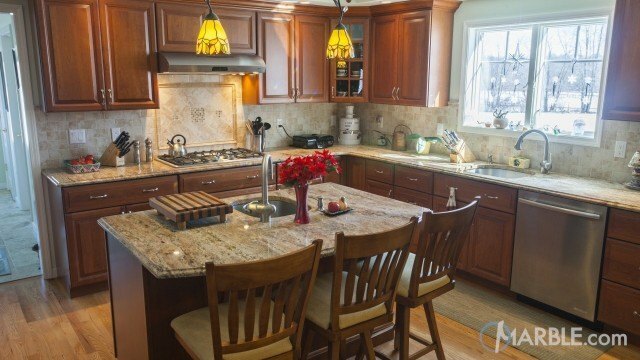 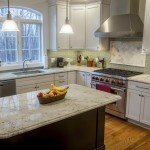 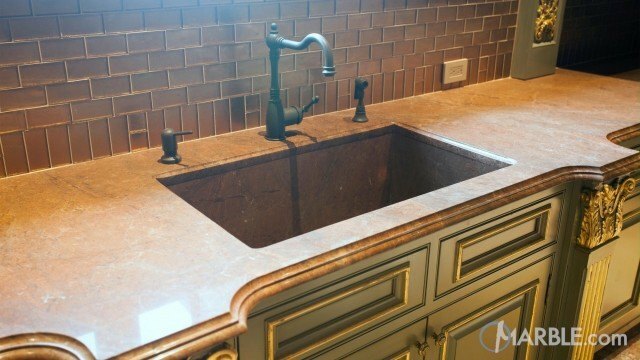 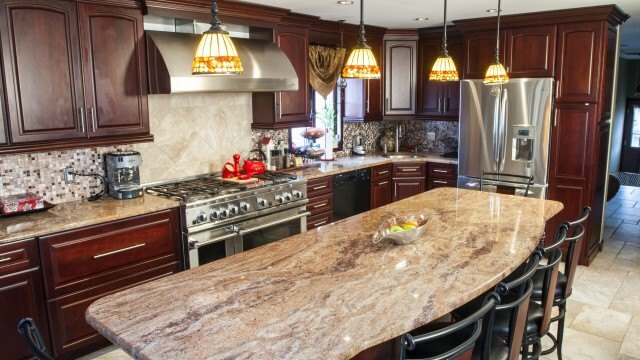 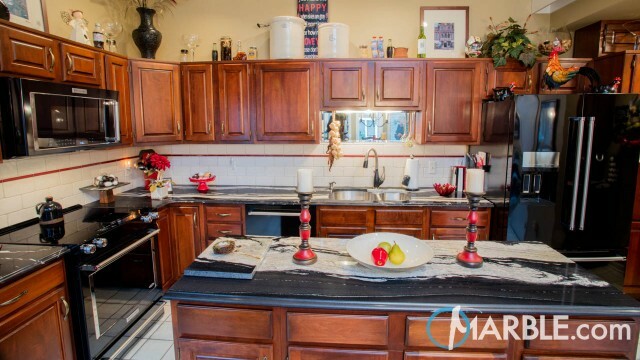 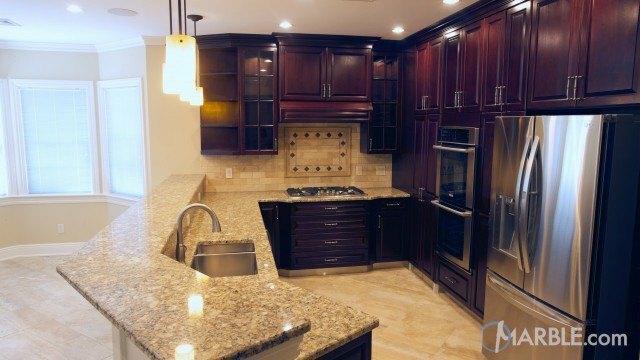 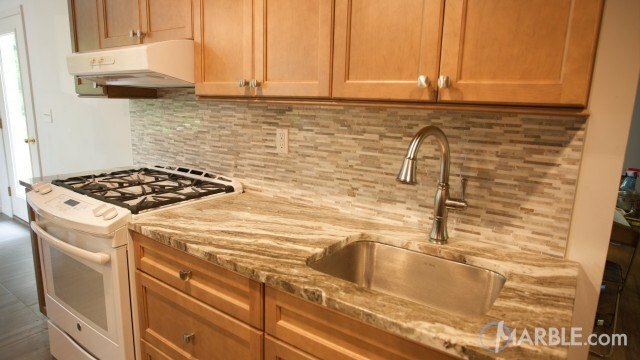 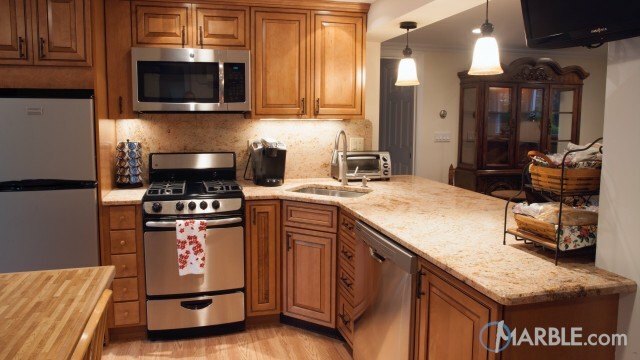 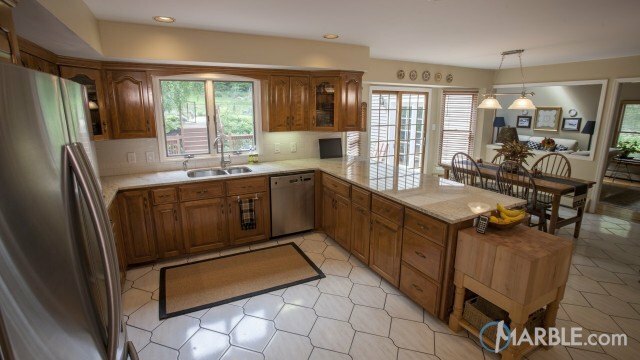 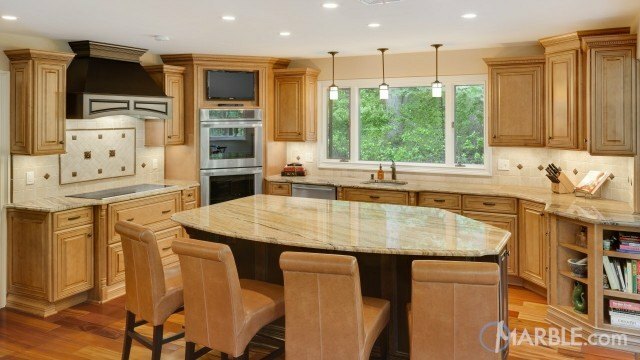 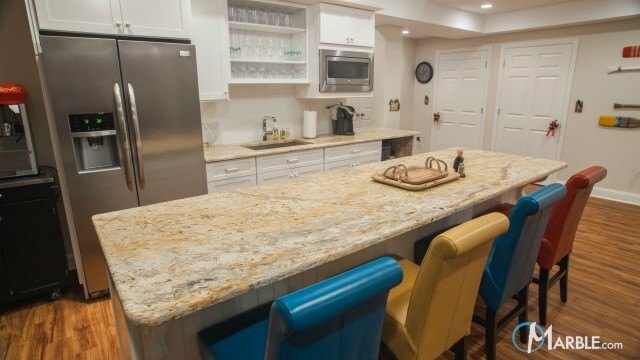 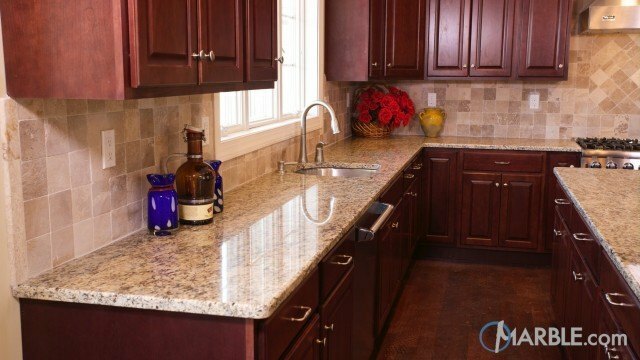 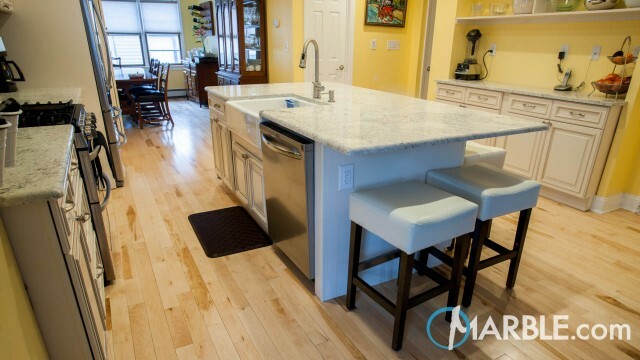 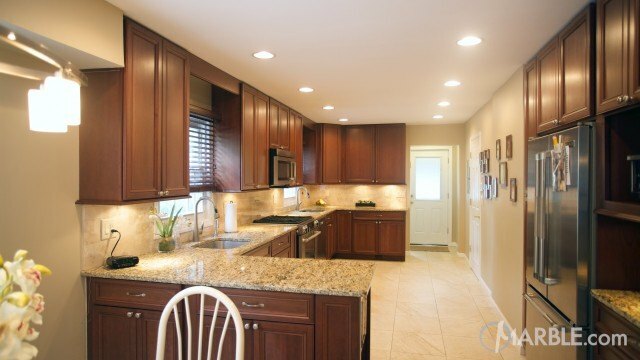 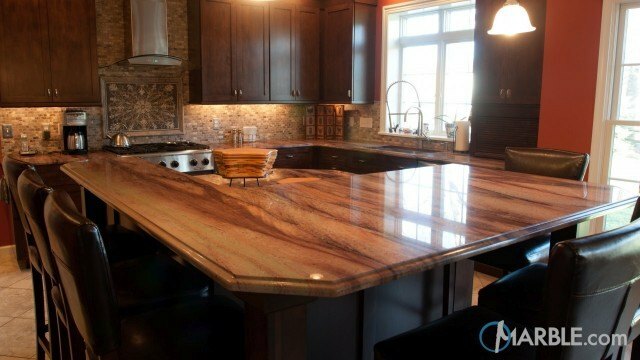 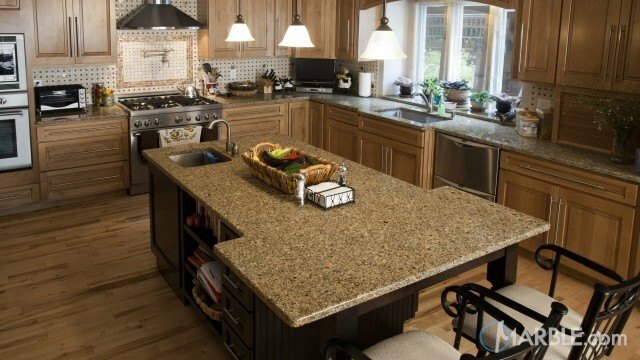 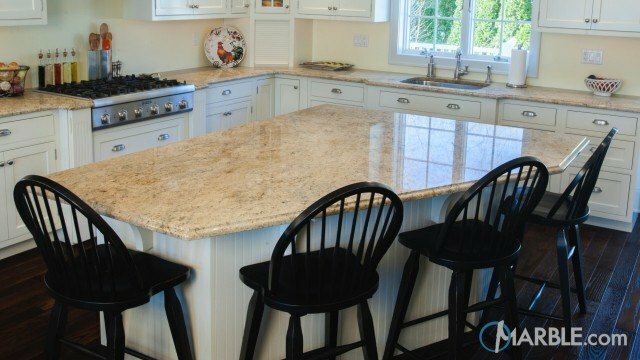 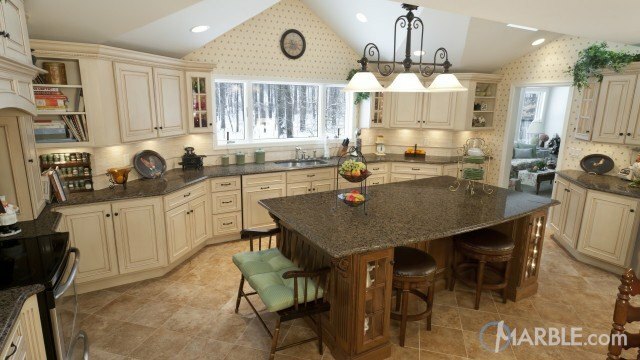 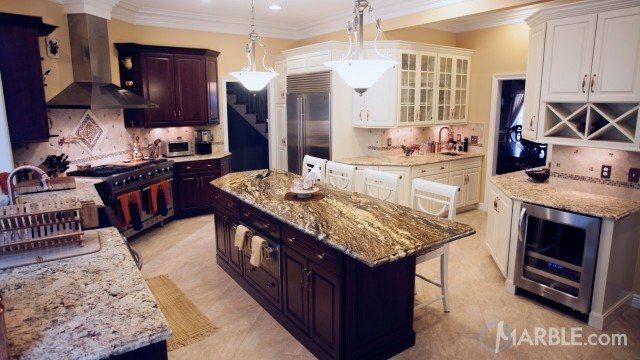 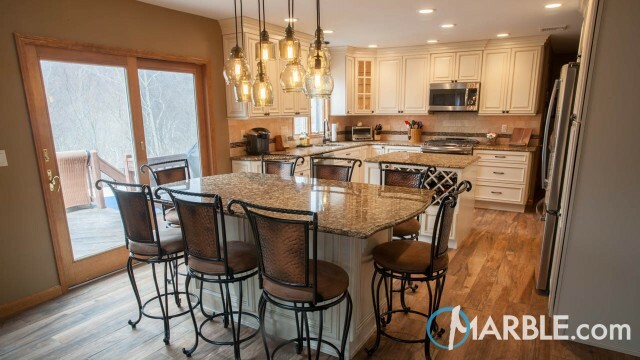 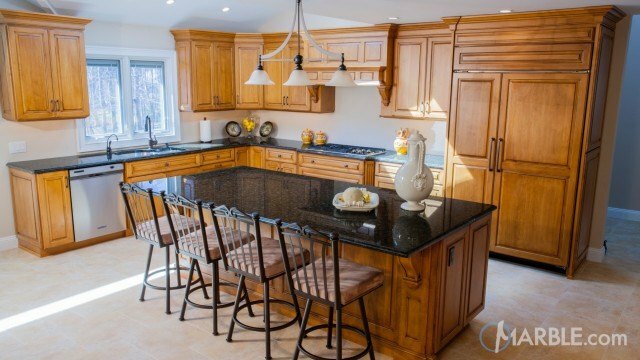 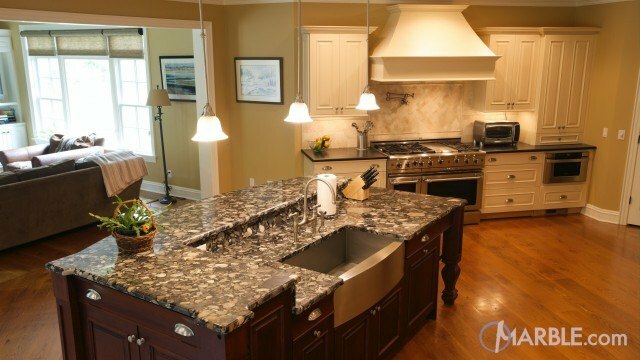 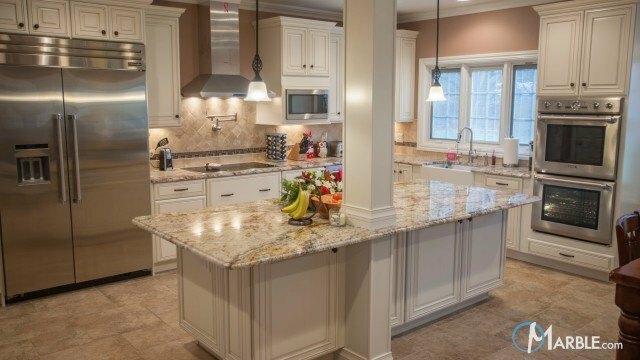 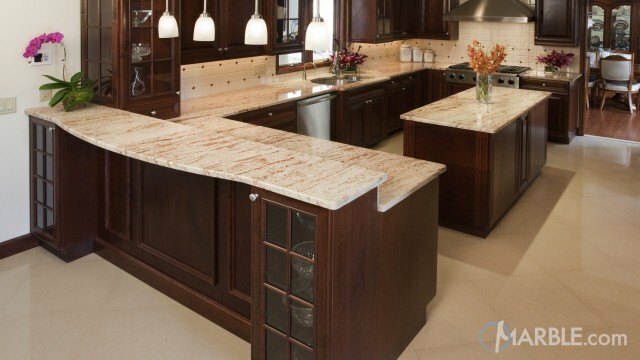 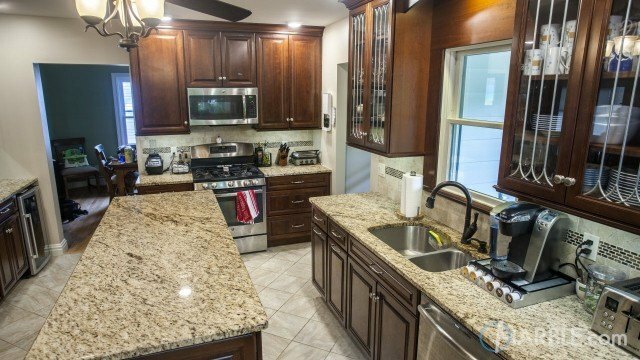 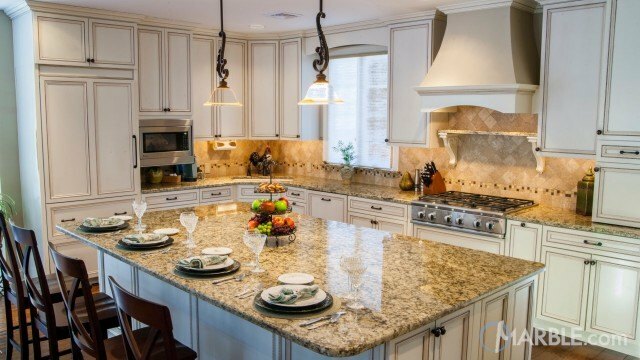 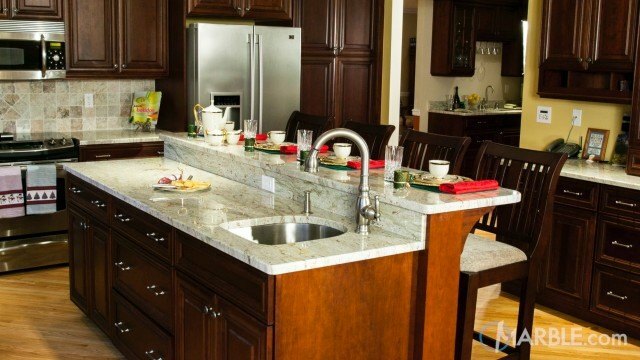 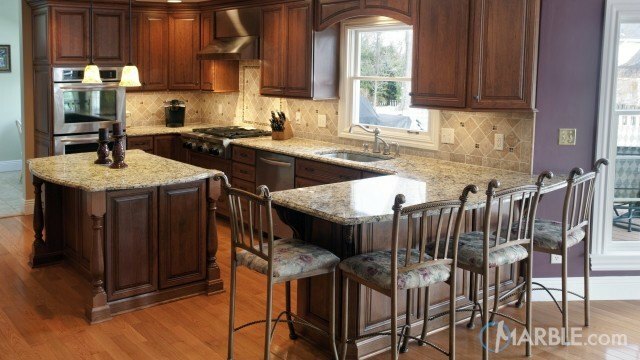 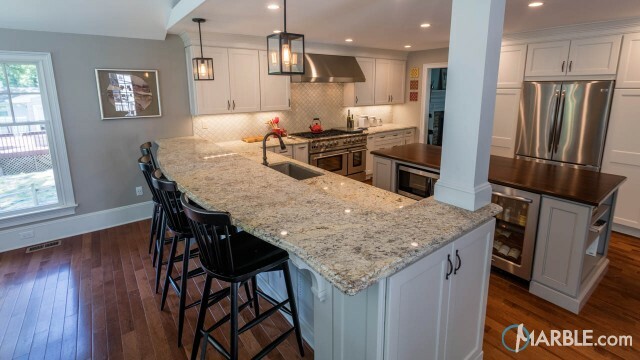 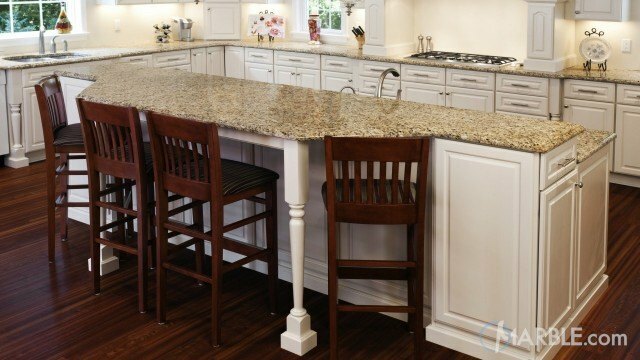 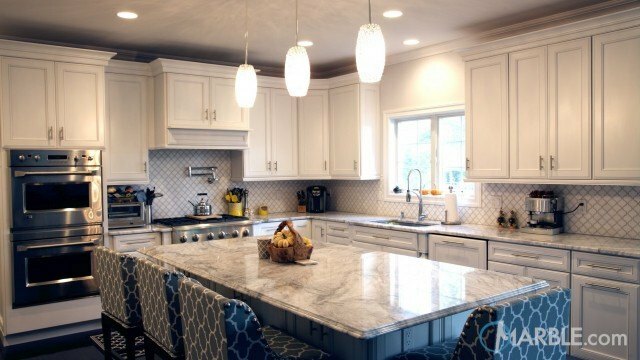 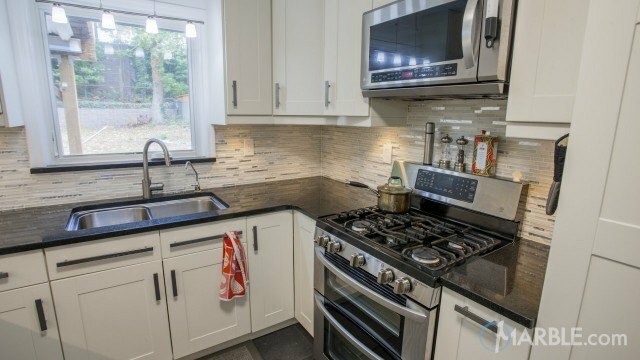 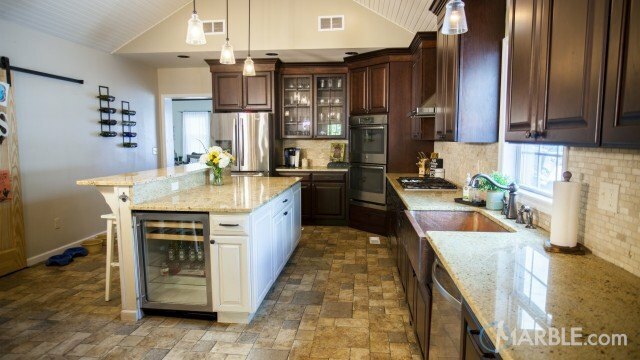 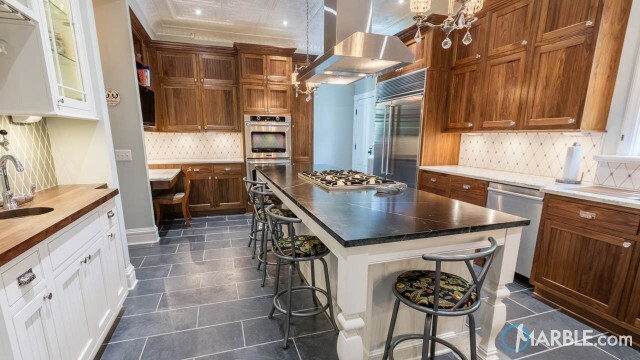 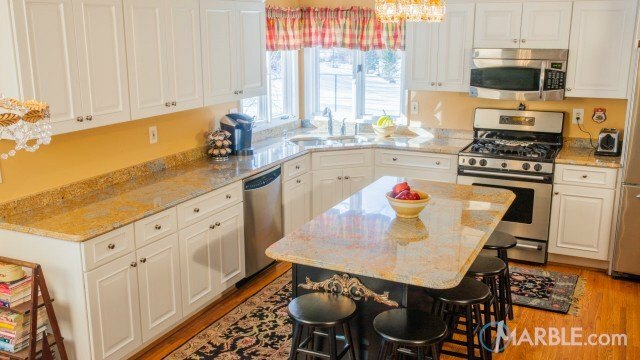 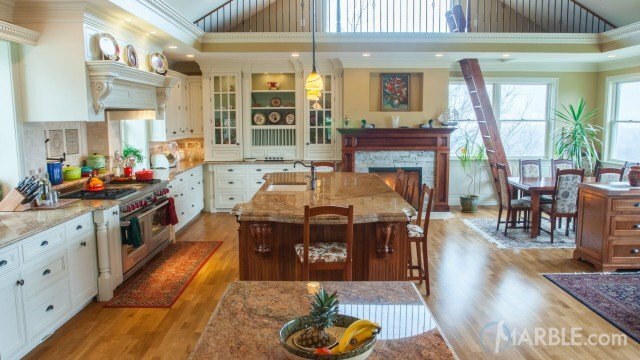 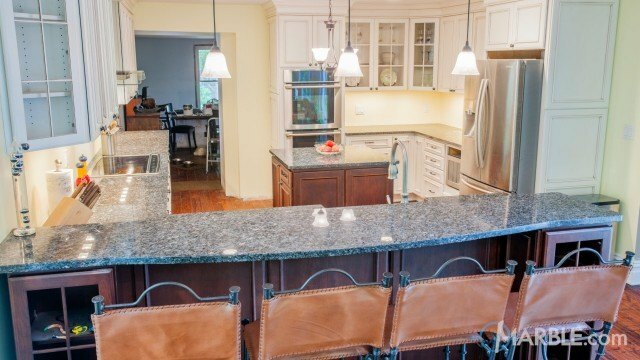 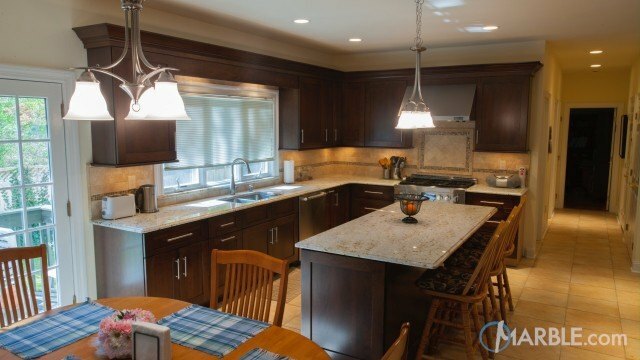 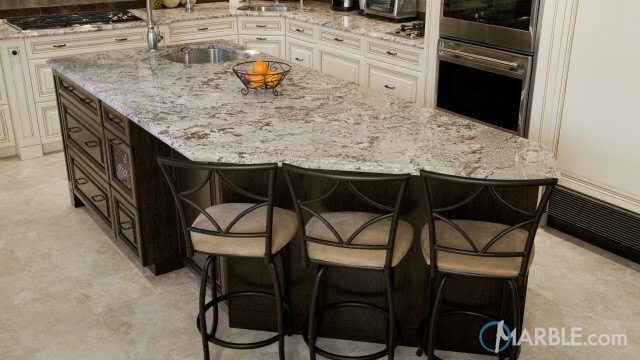 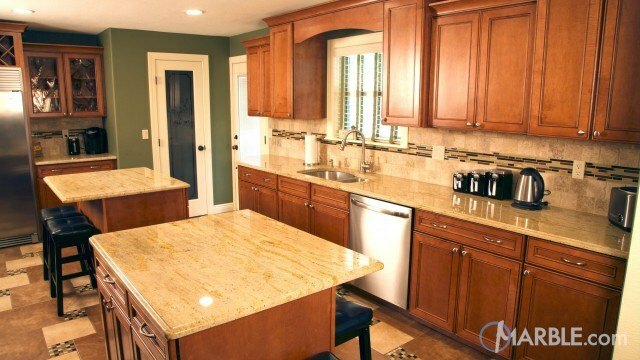 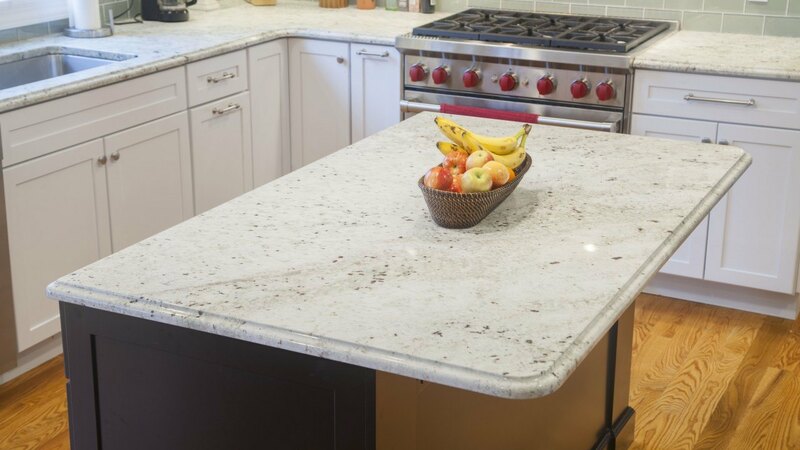 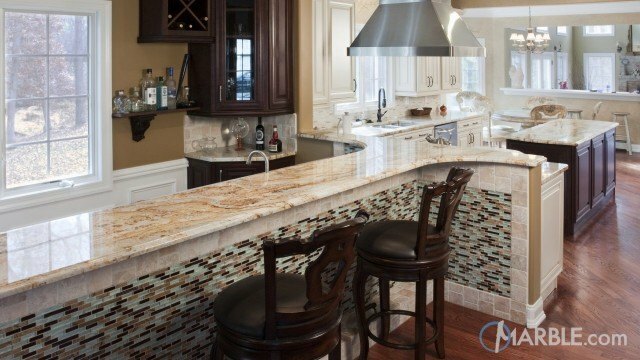 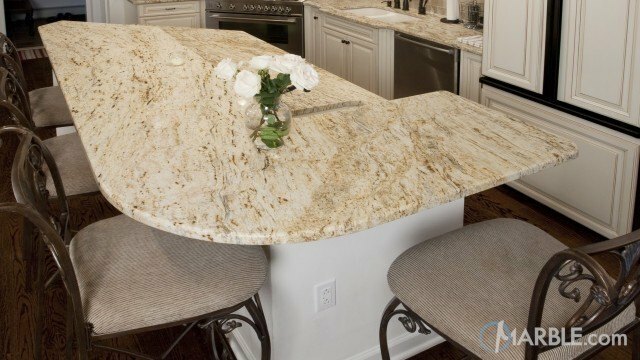 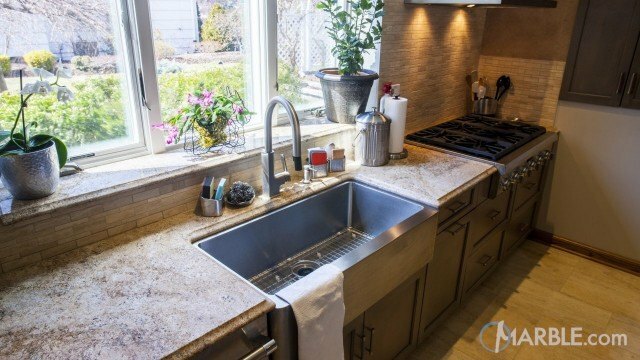 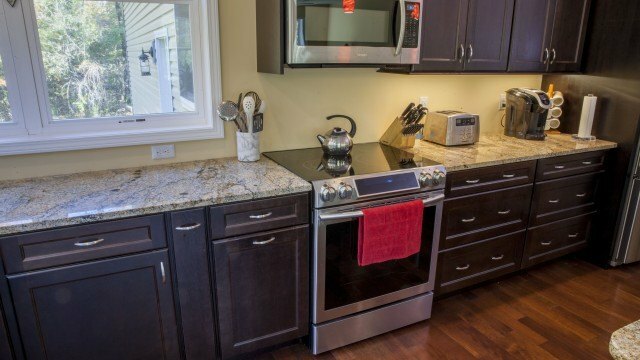 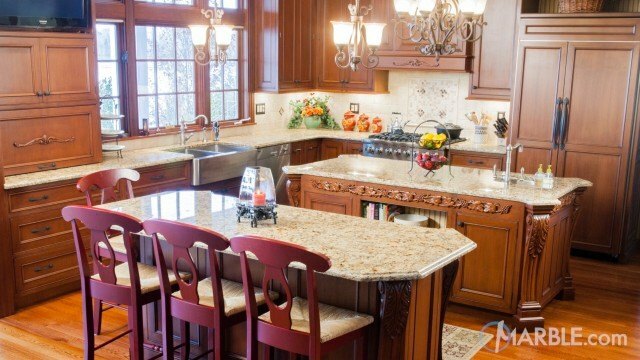 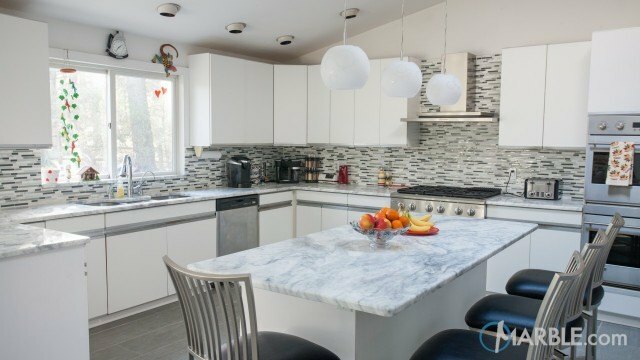 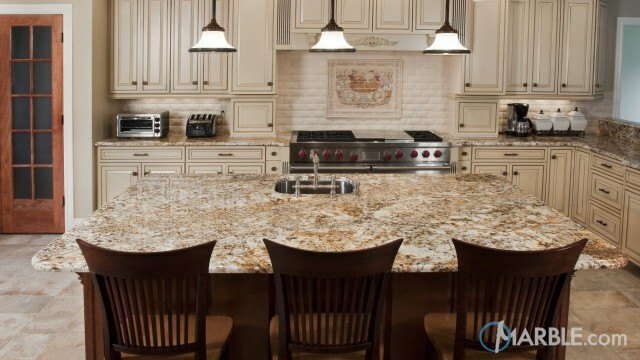 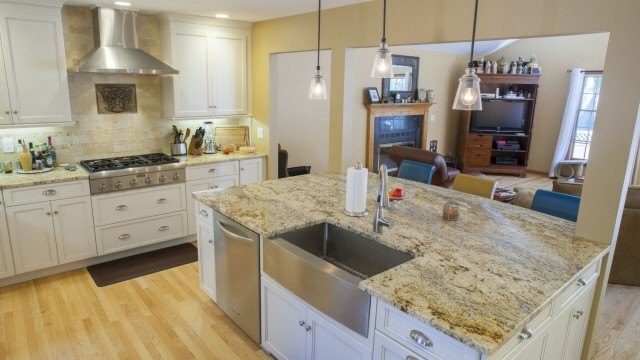 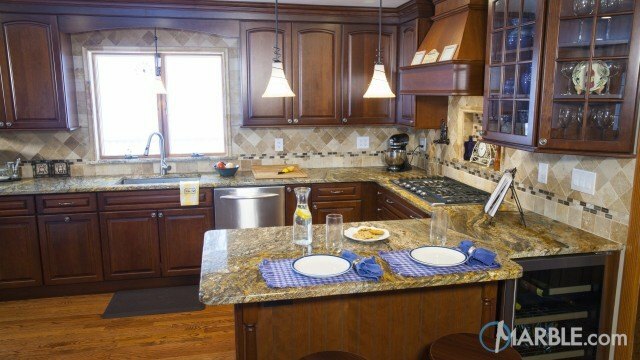 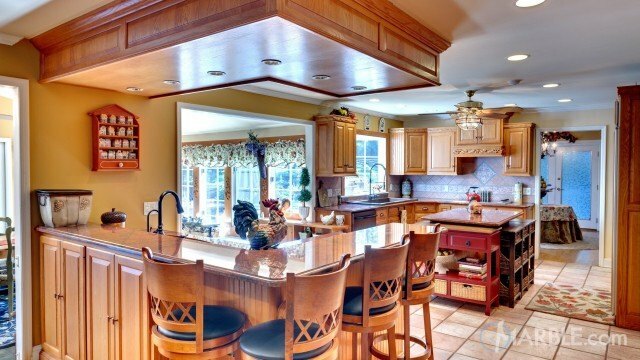 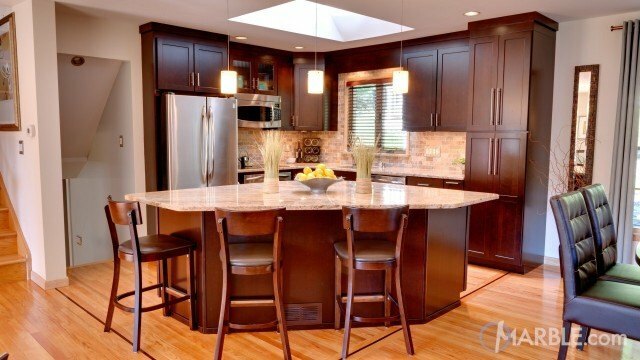 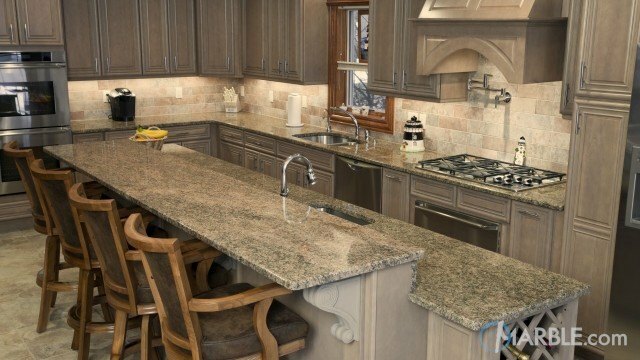 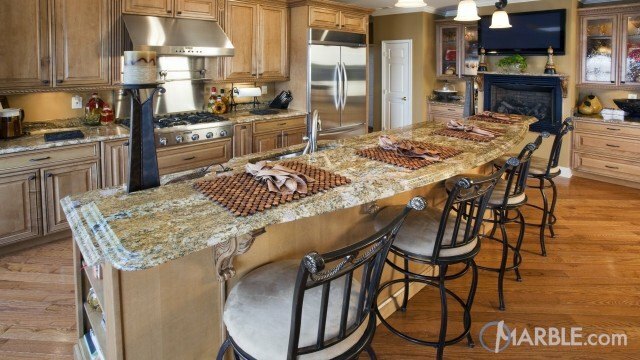 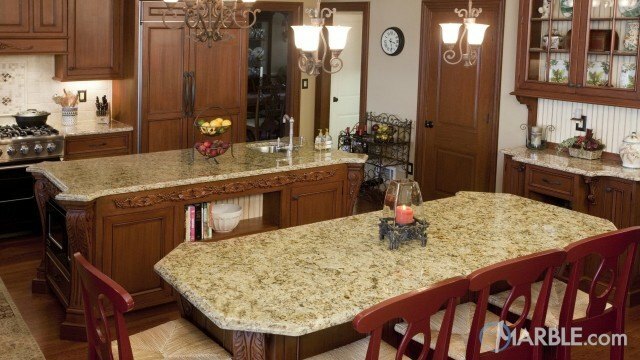 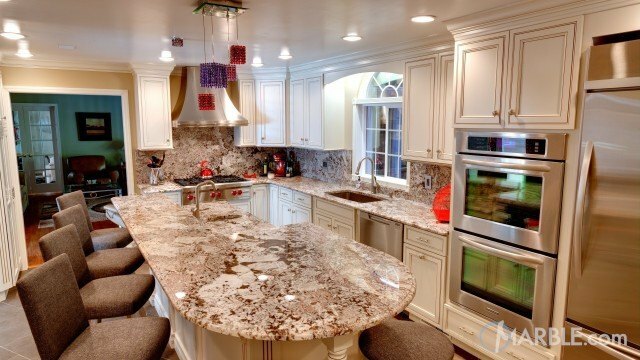 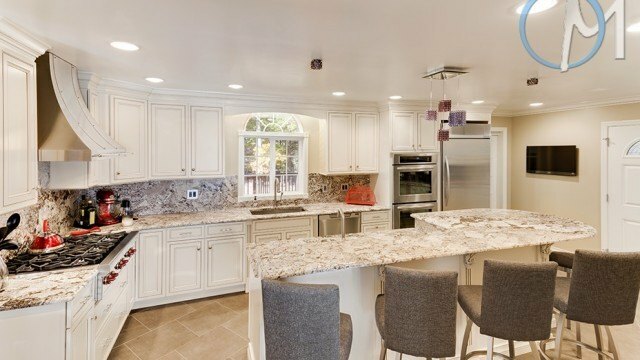 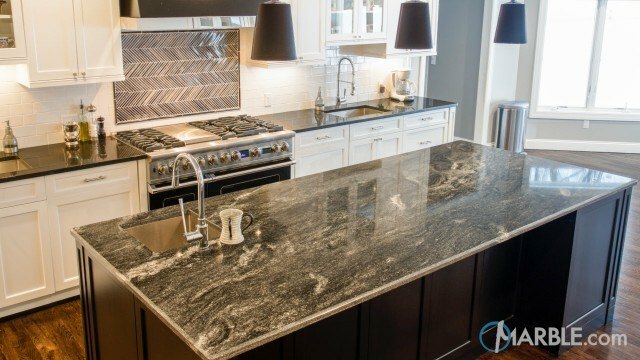 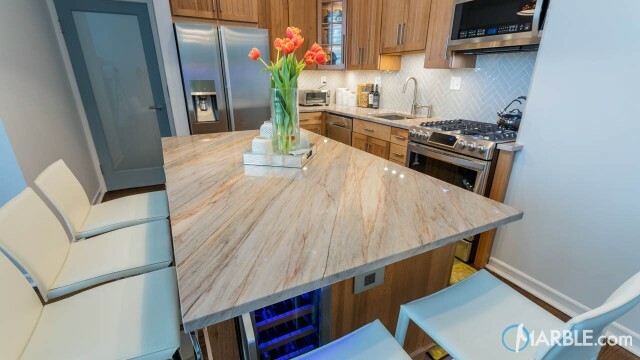 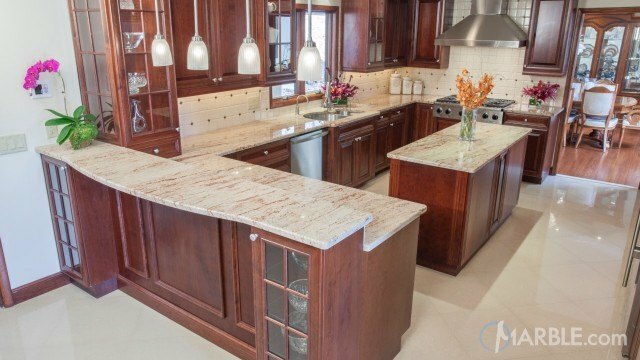 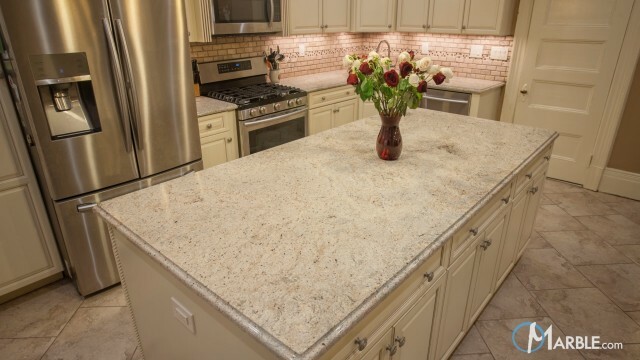 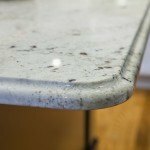 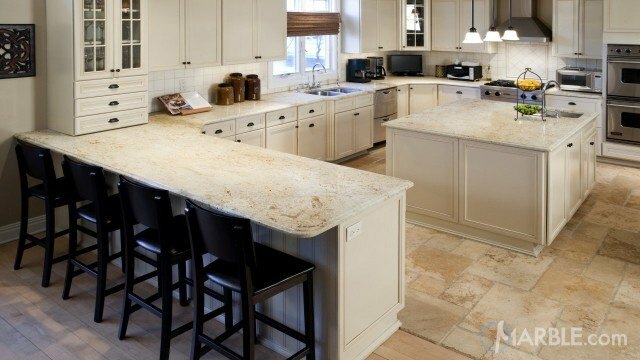 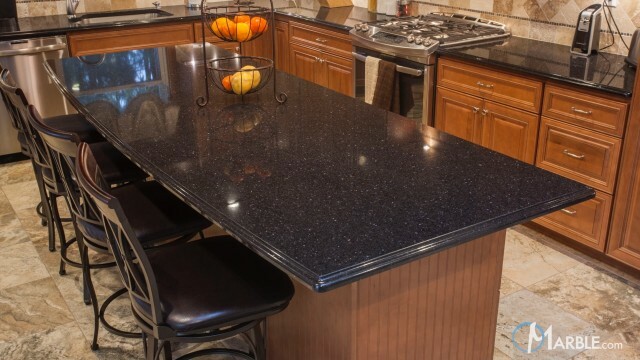 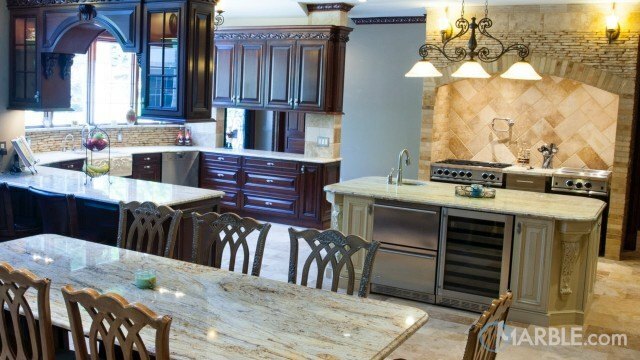 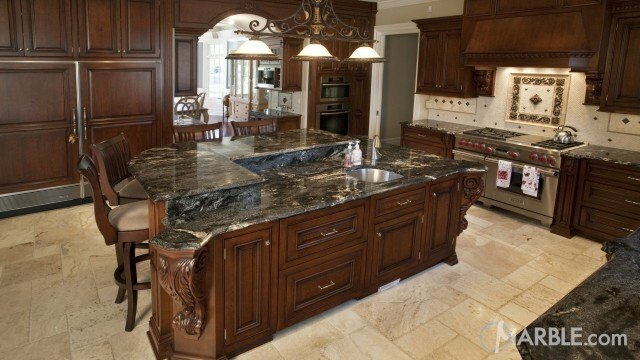 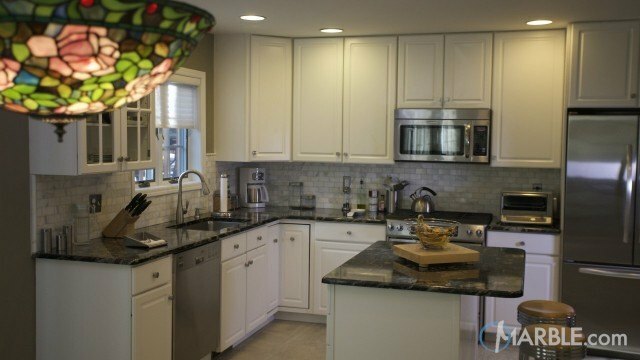 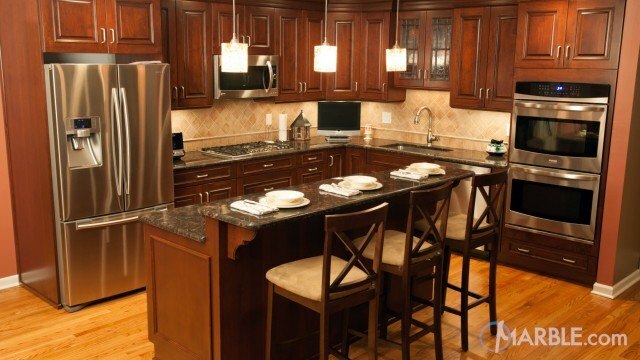 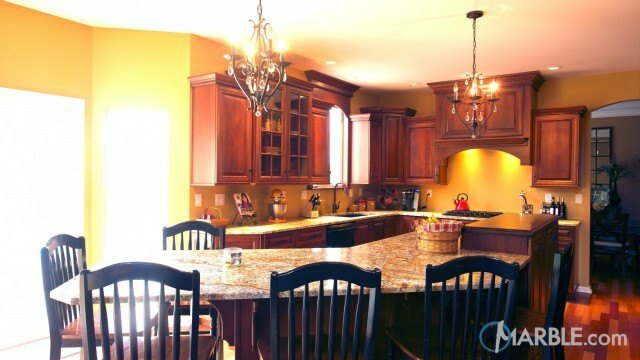 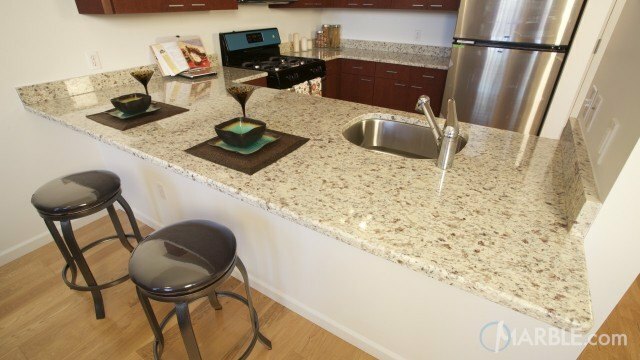 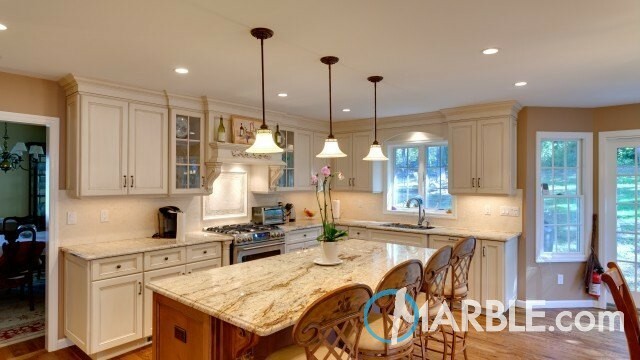 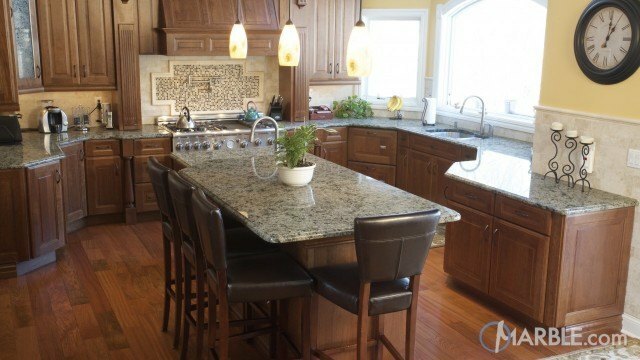 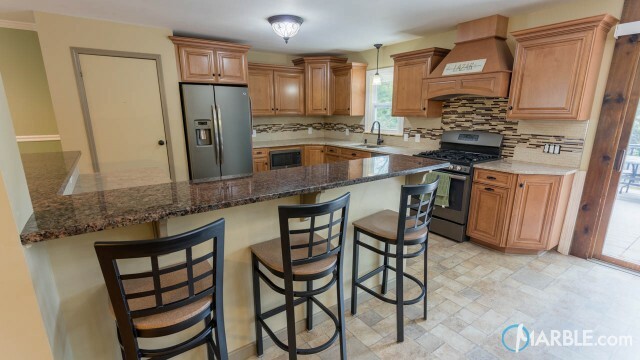 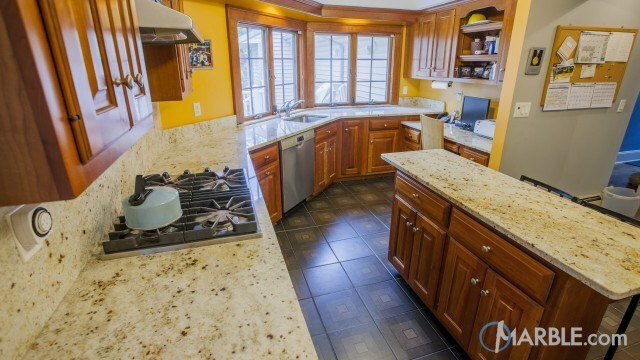 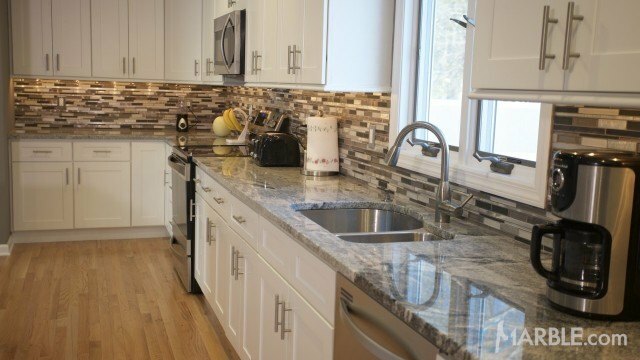 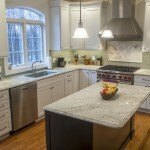 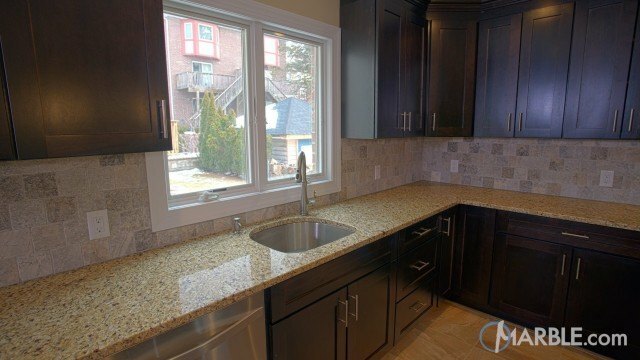 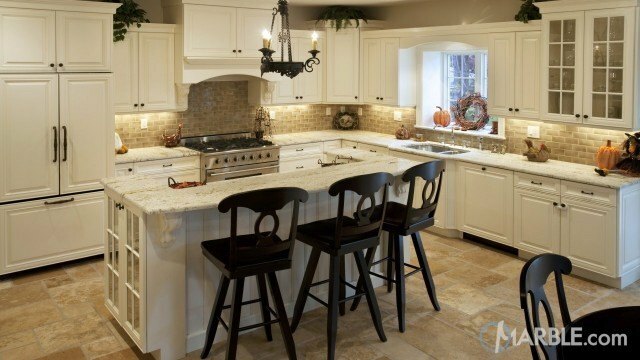 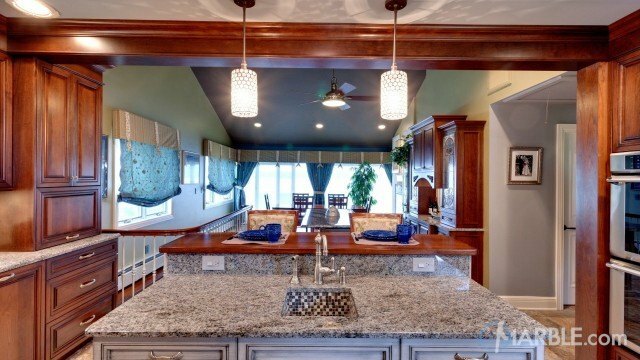 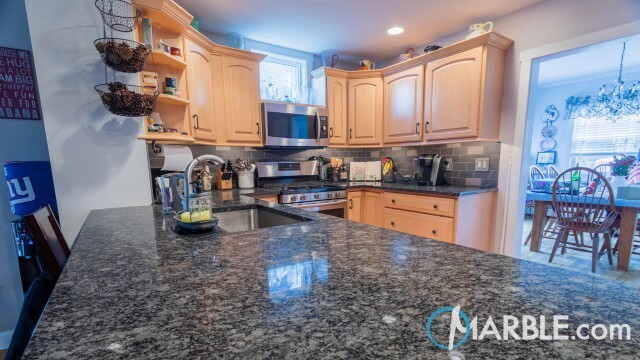 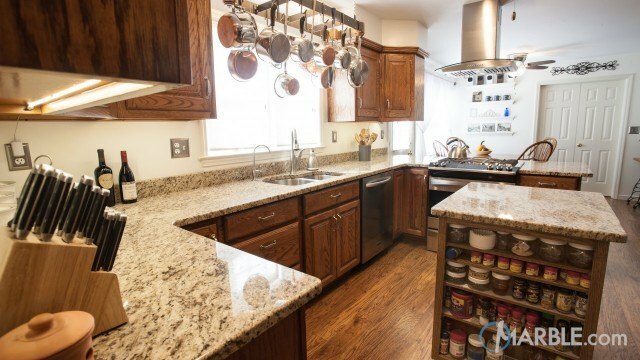 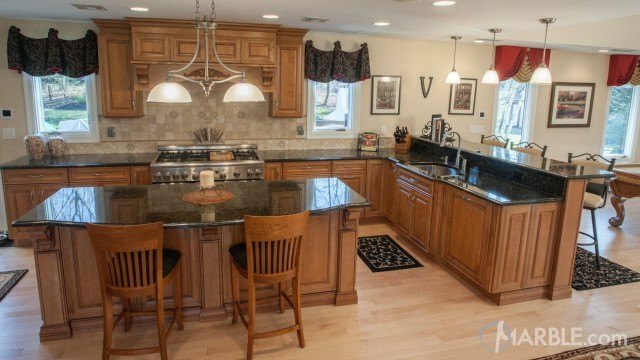 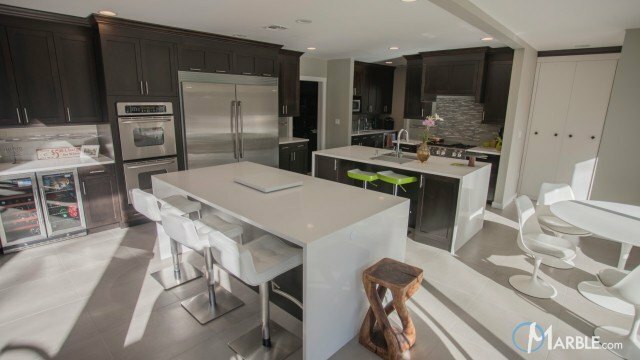 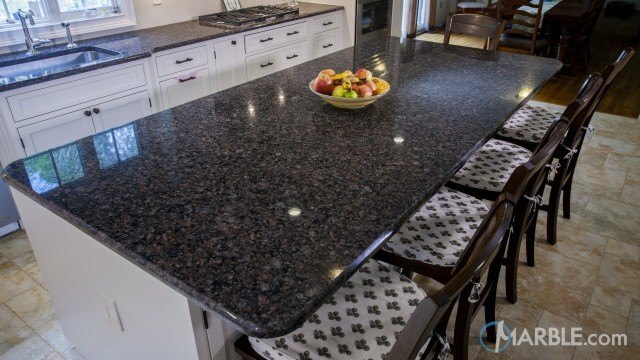 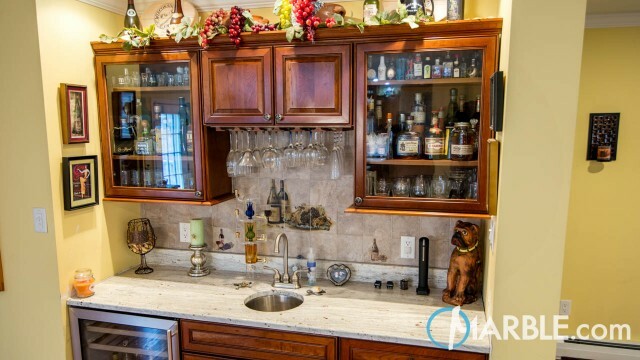 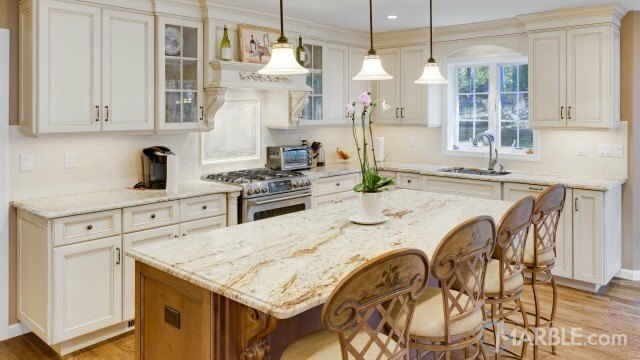 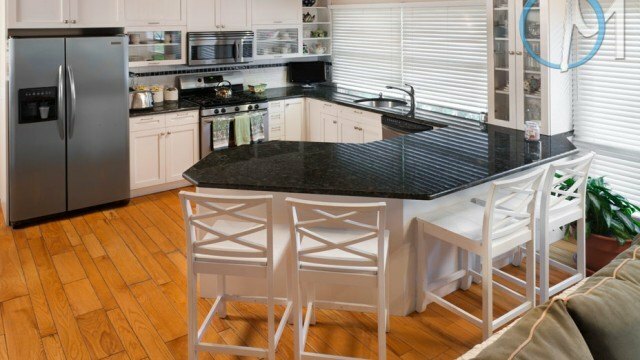 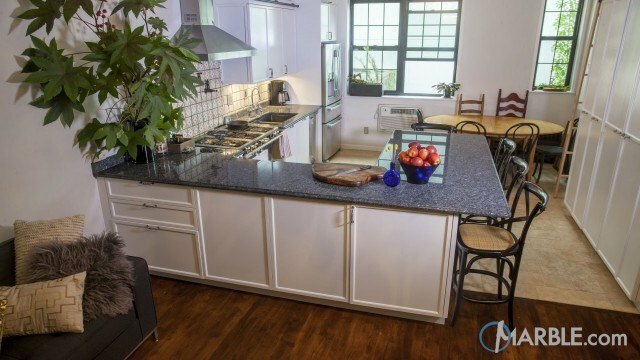 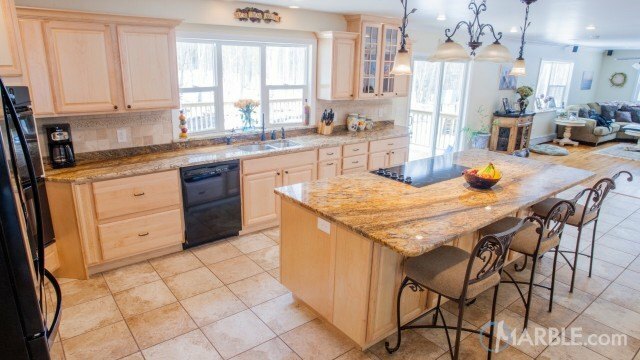 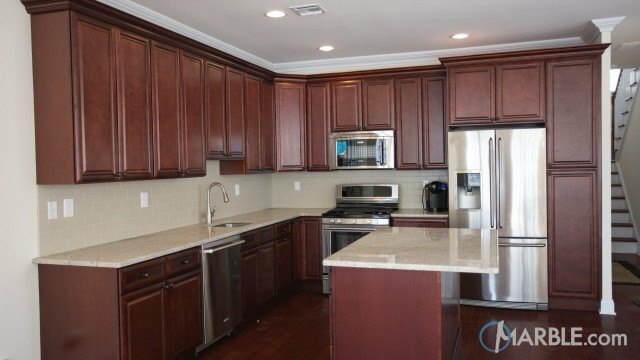 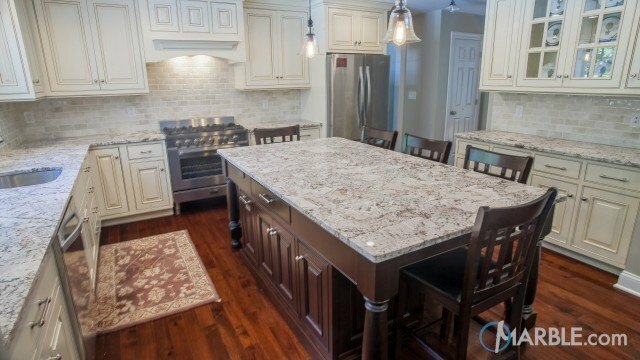 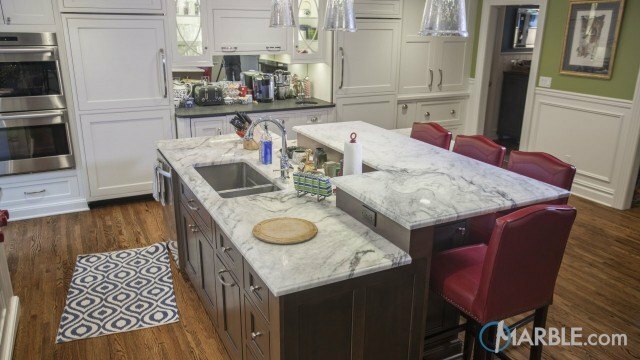 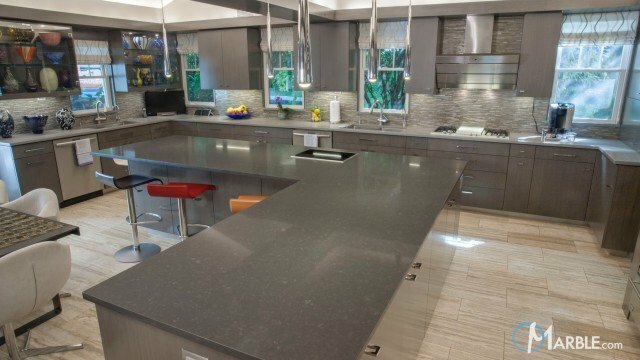 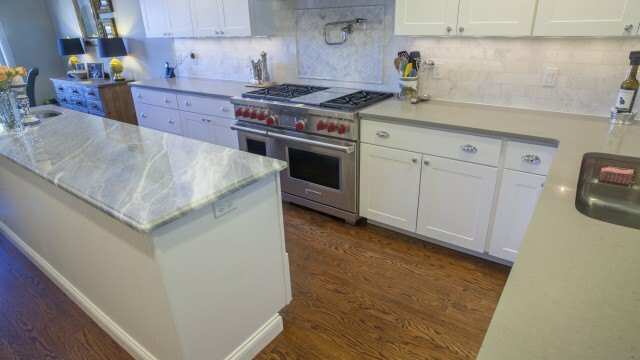 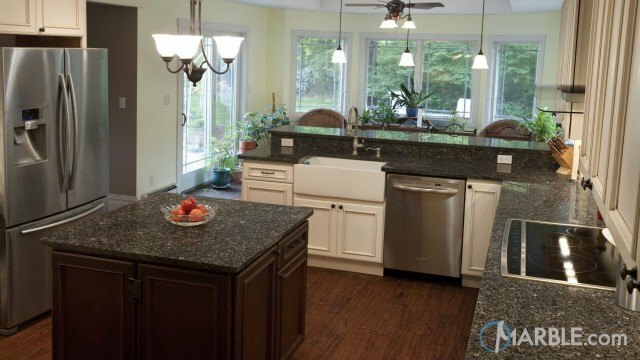 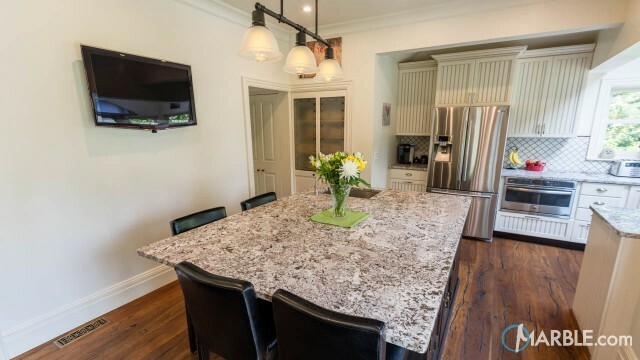 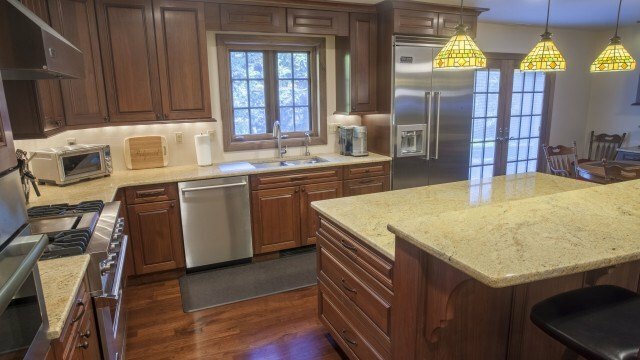 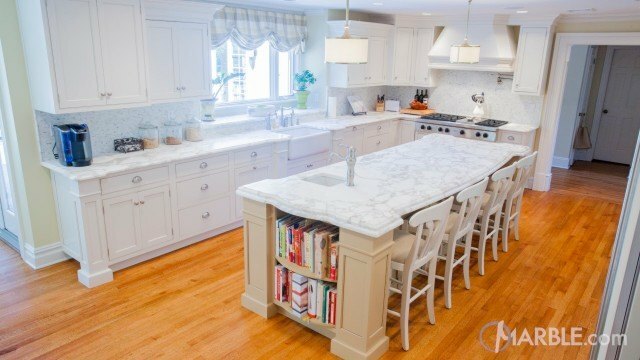 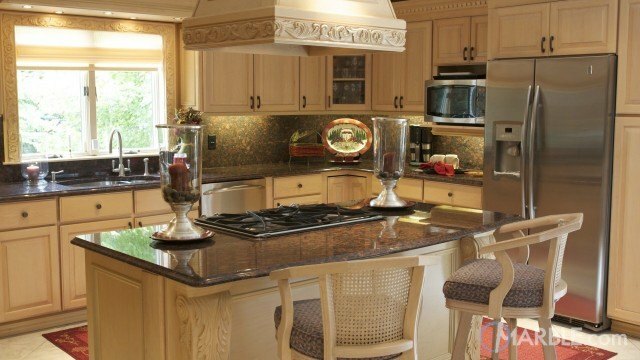 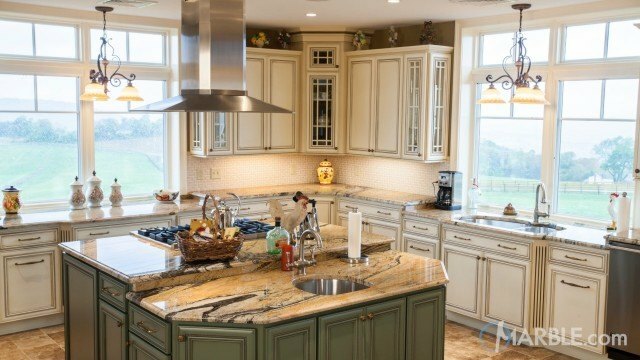 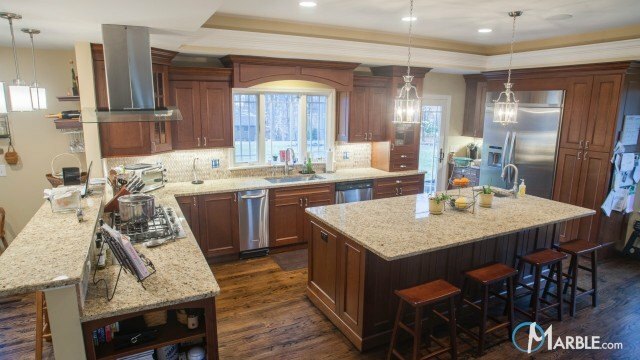 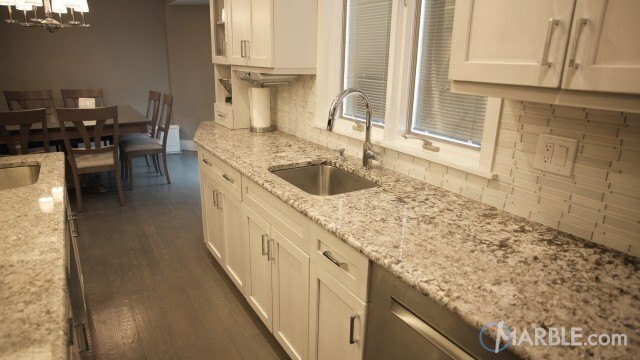 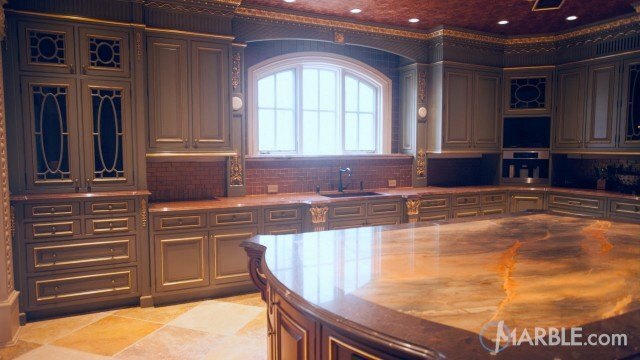 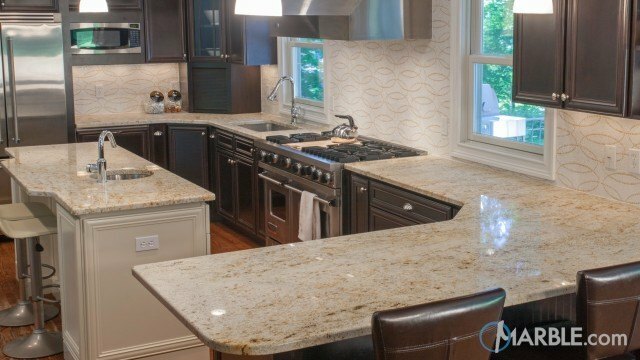 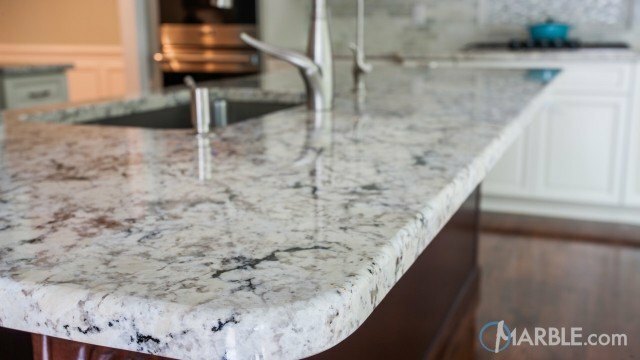 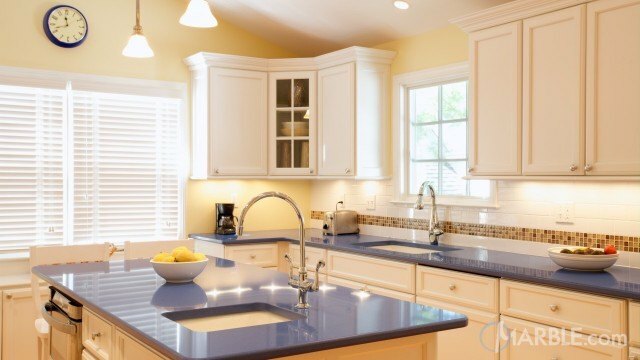 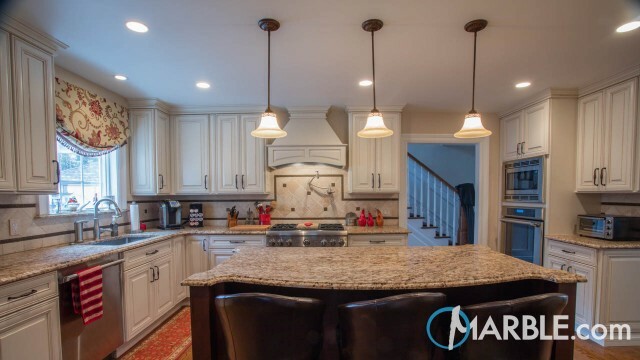 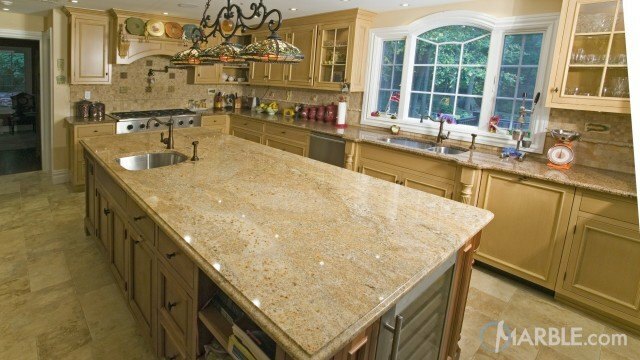 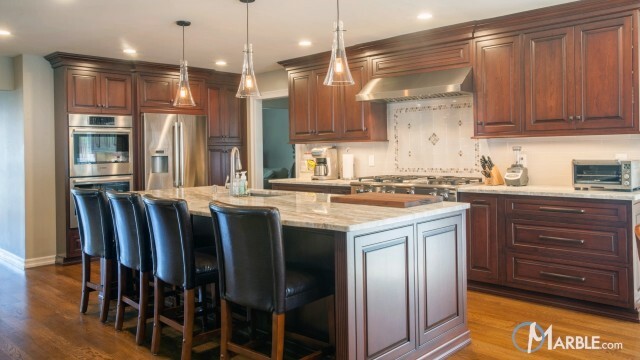 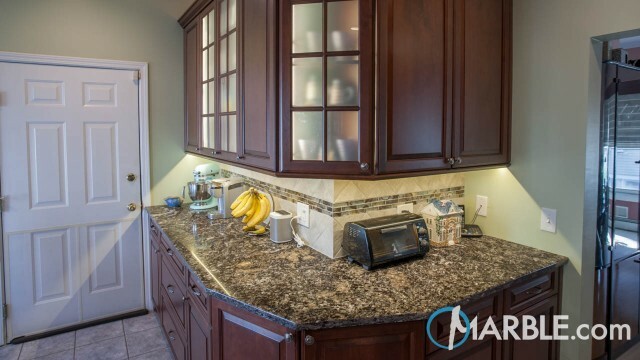 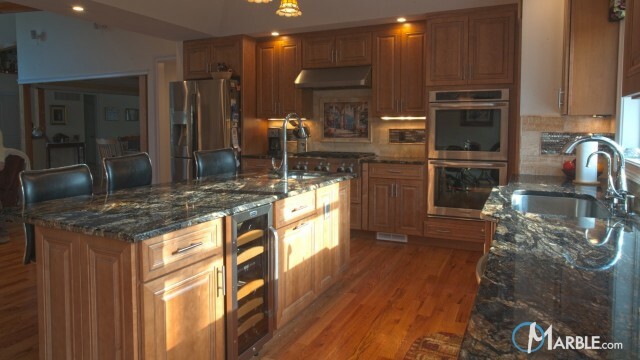 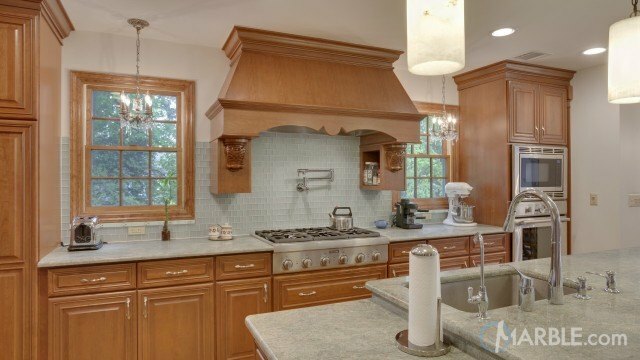 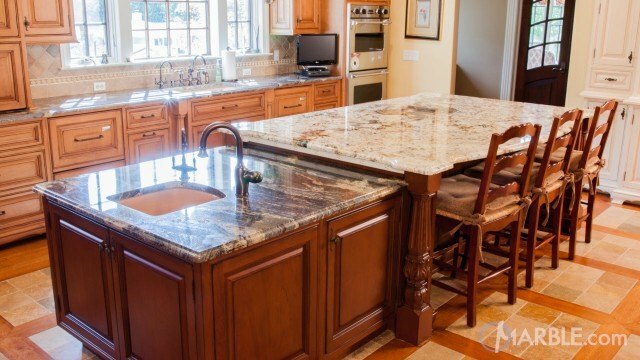 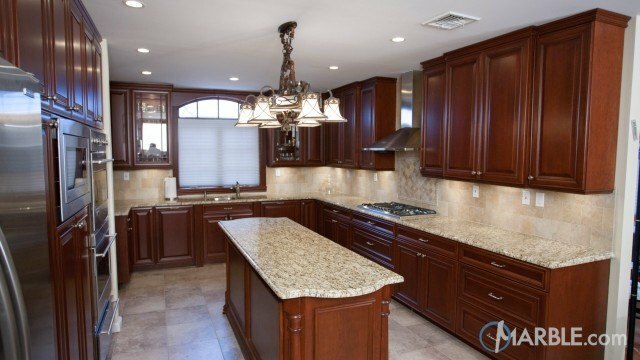 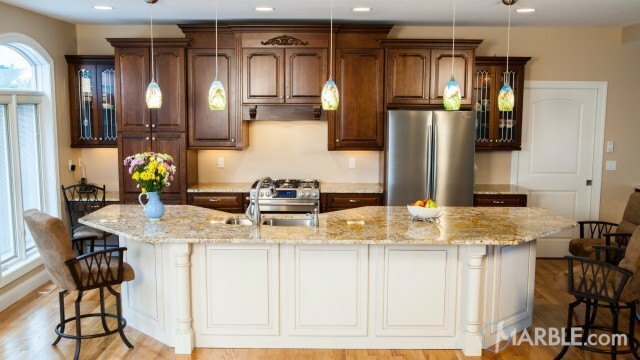 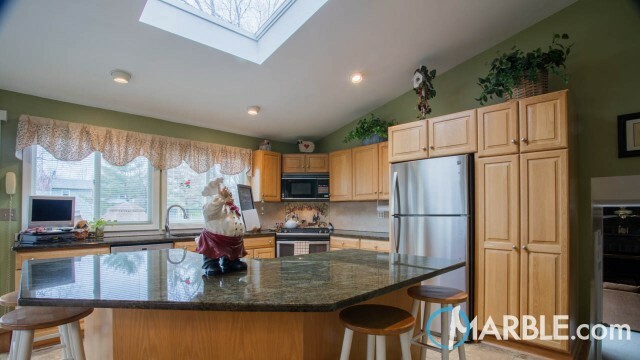 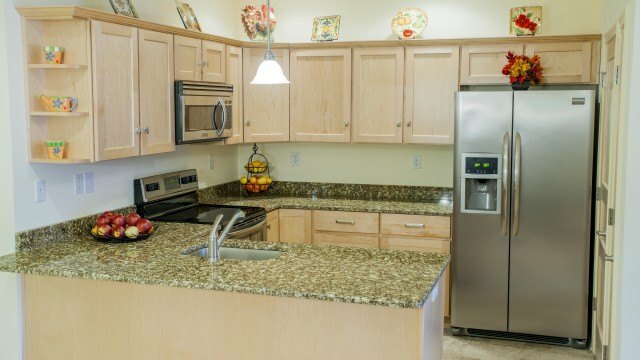 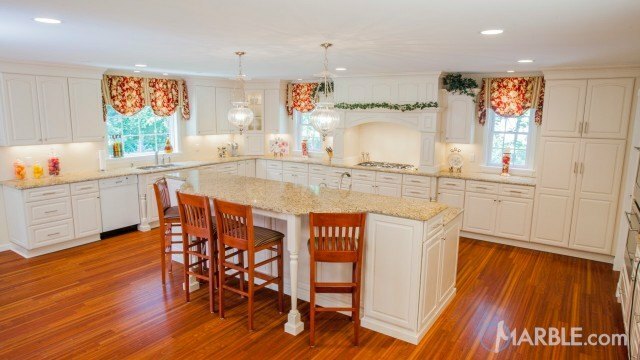 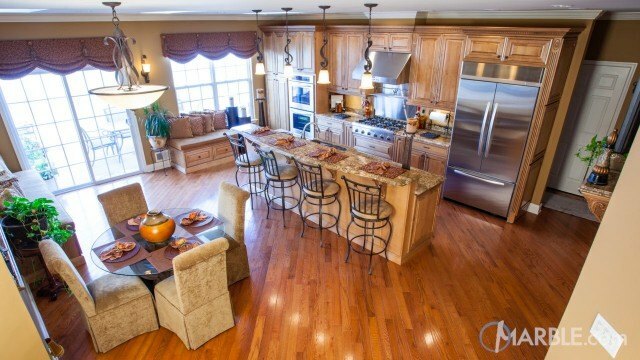 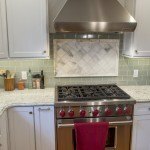 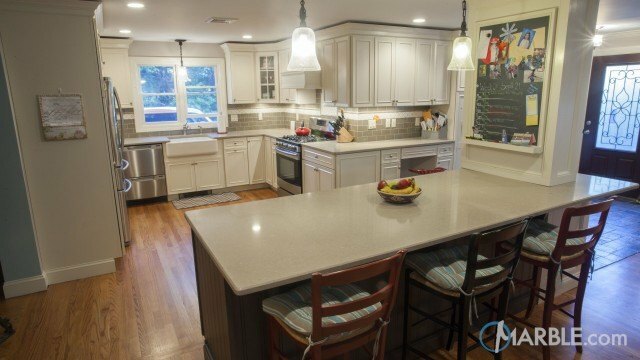 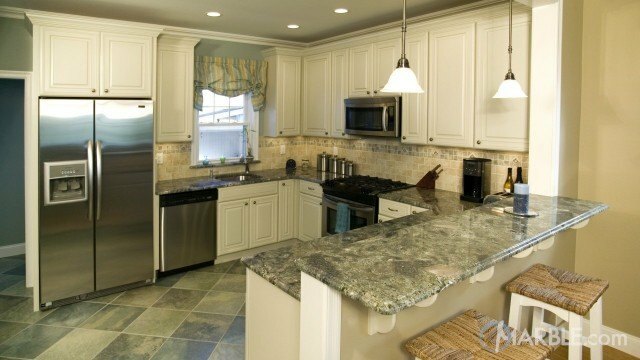 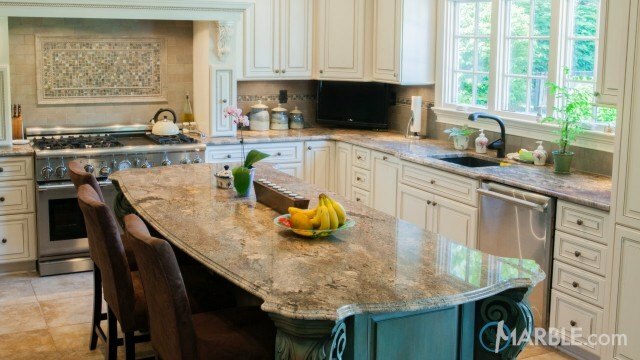 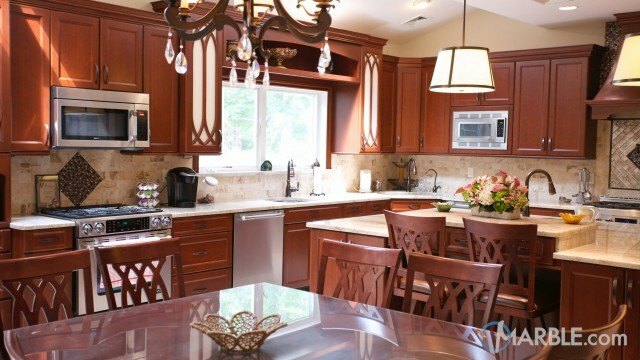 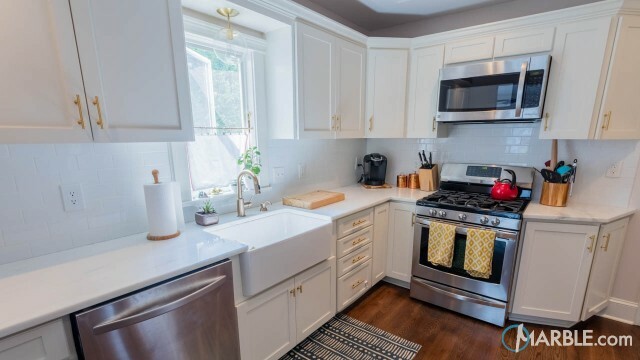 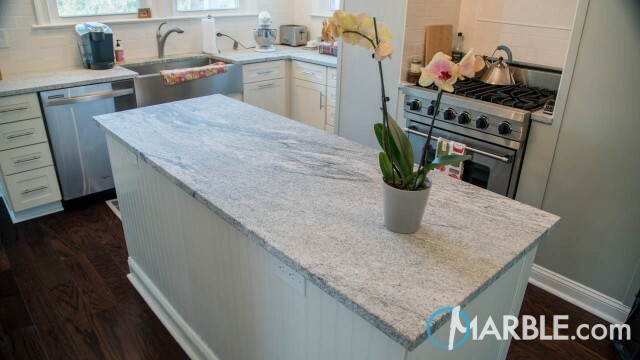 The kitchen island can be used as a food preparation area and/or serving area. 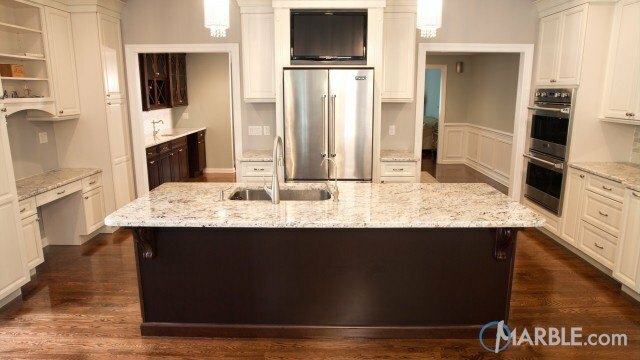 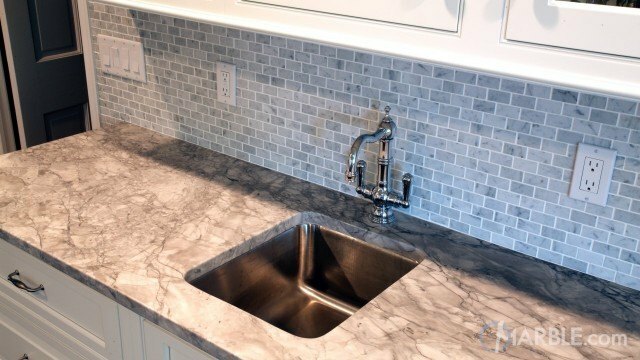 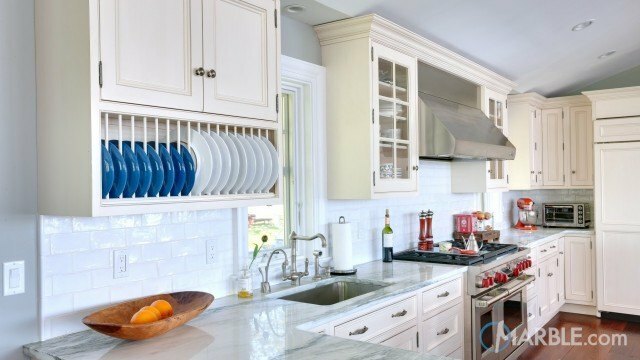 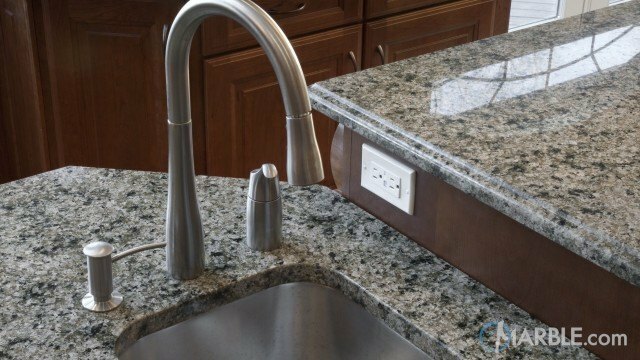 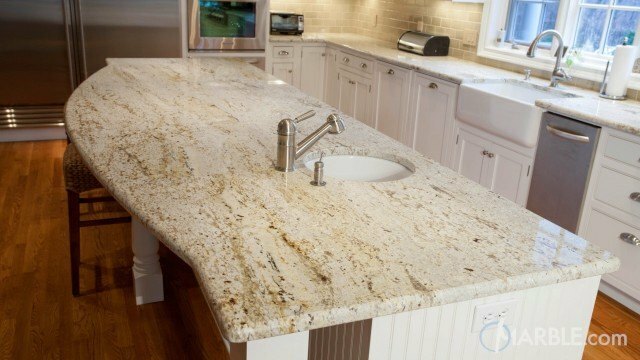 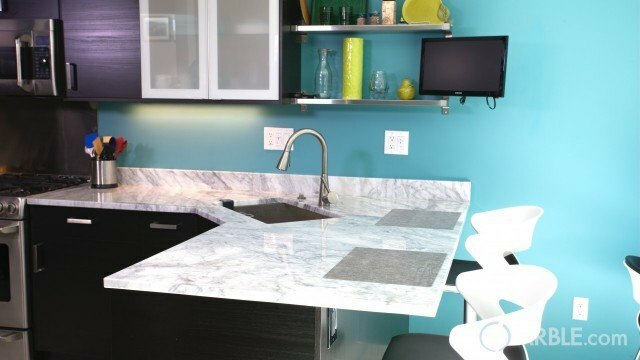 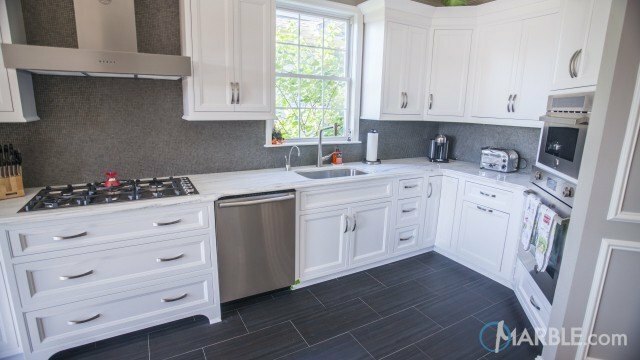 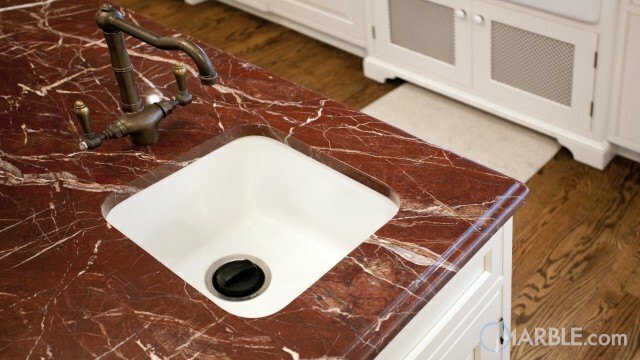 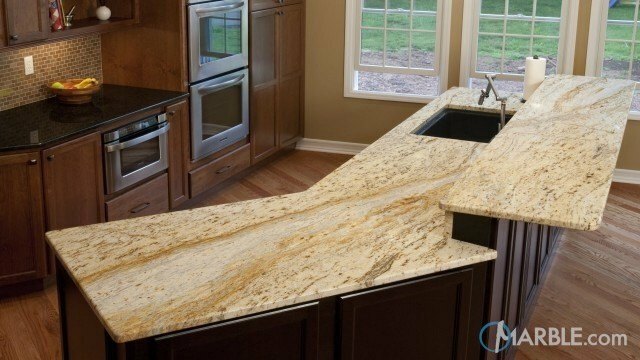 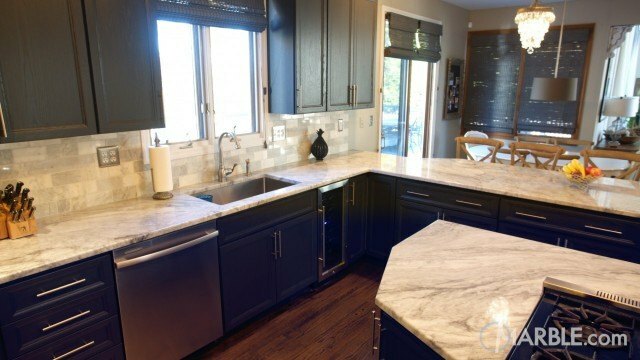 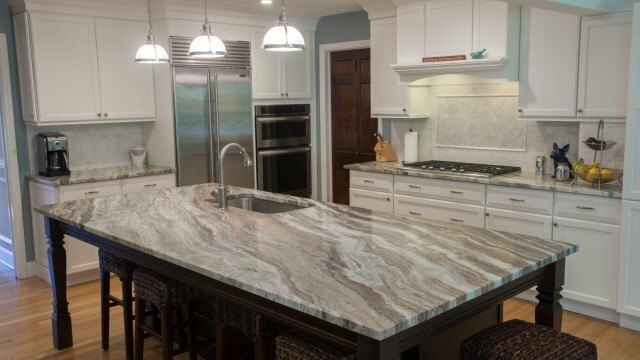 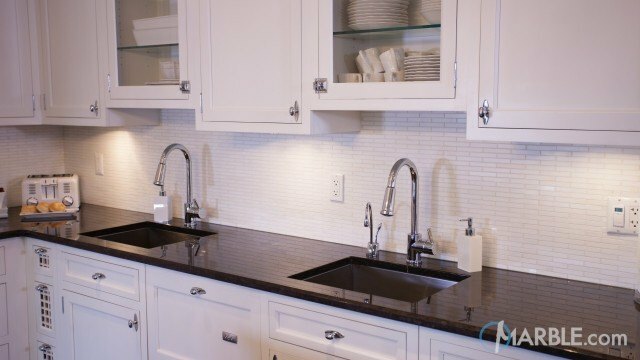 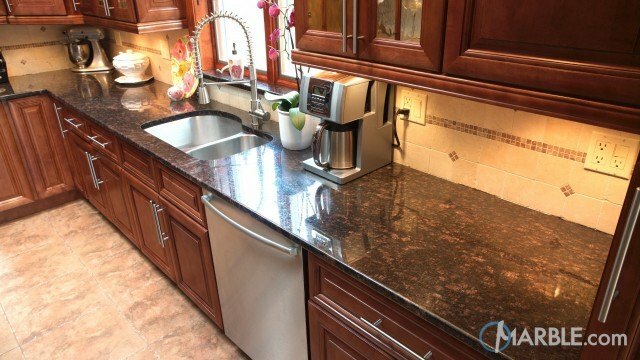 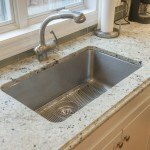 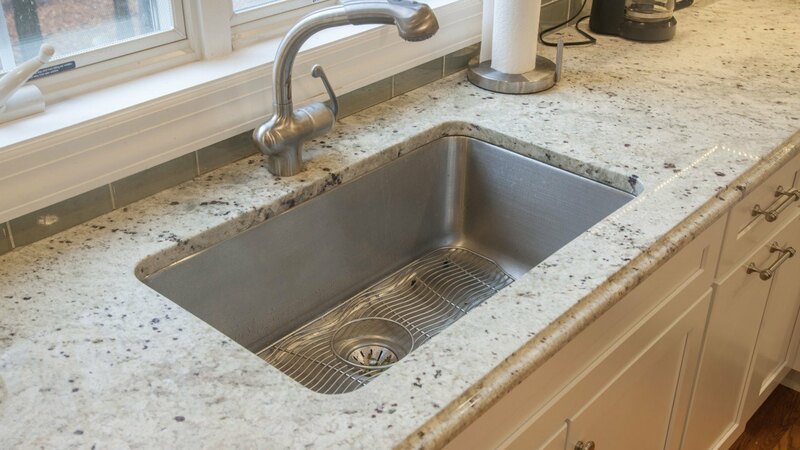 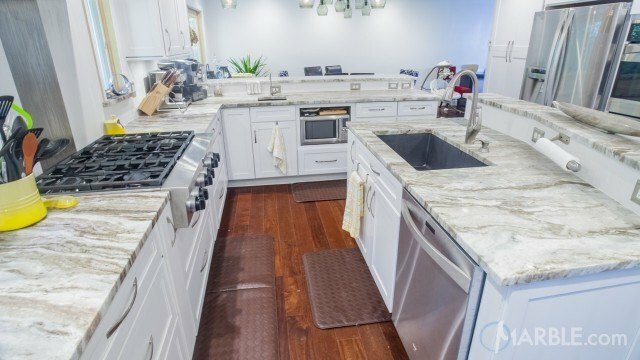 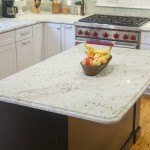 The island also allows for extra storage.